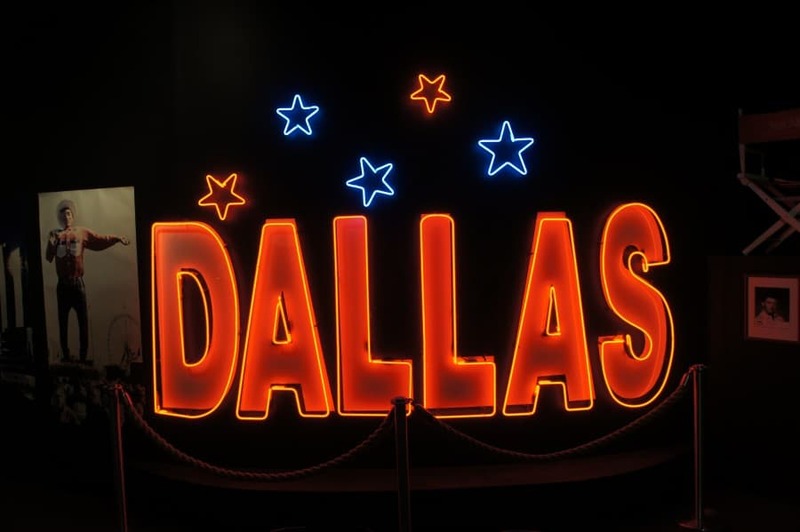 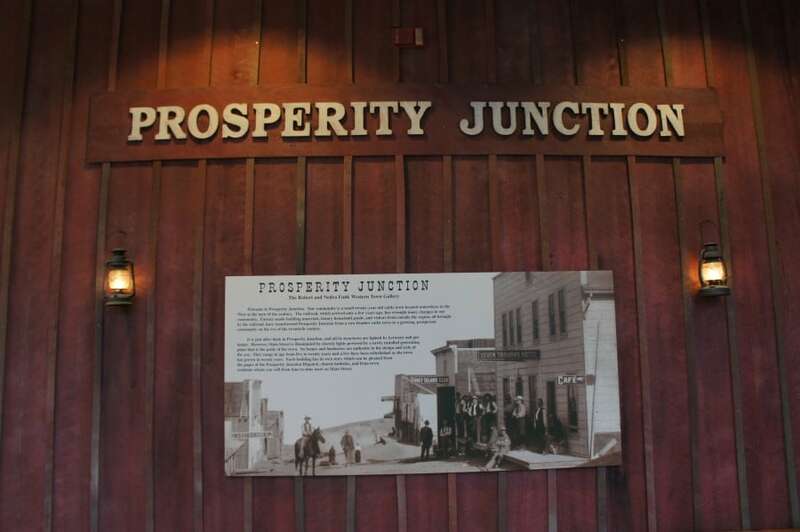 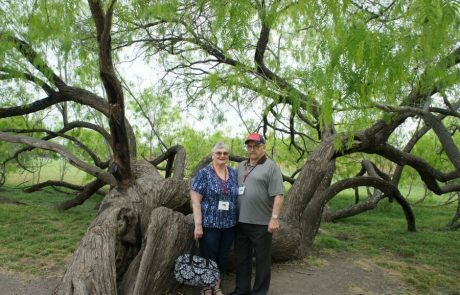 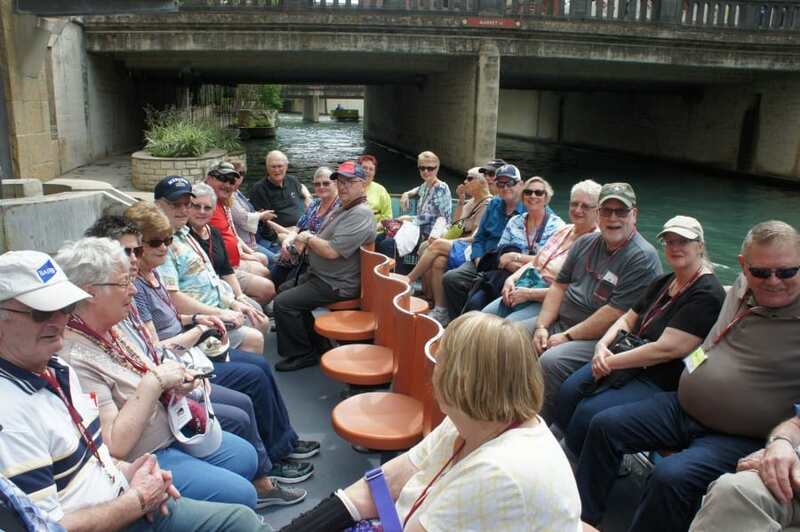 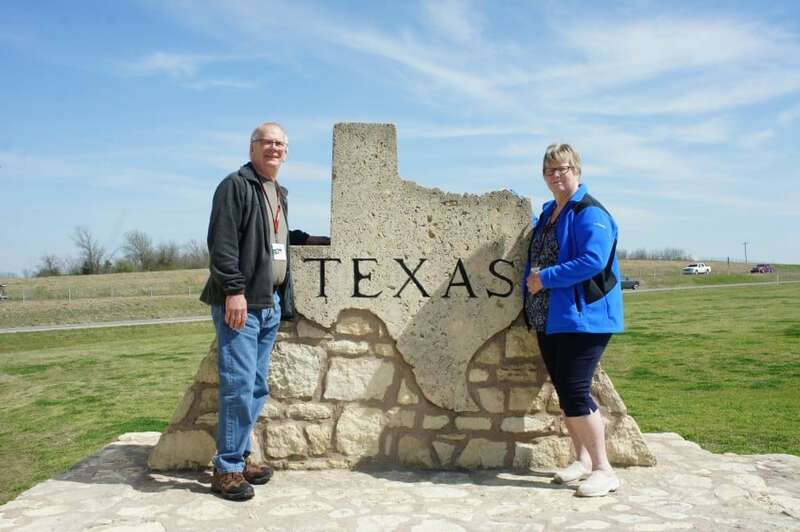 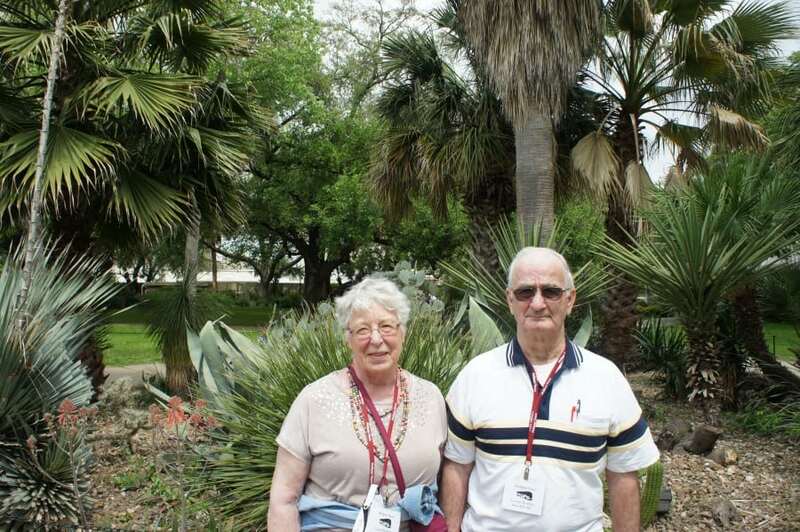 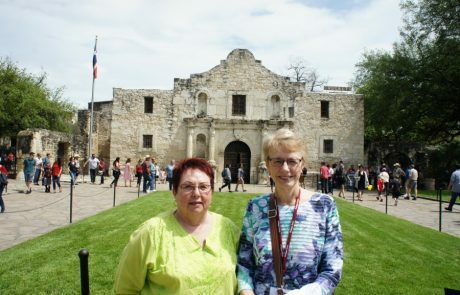 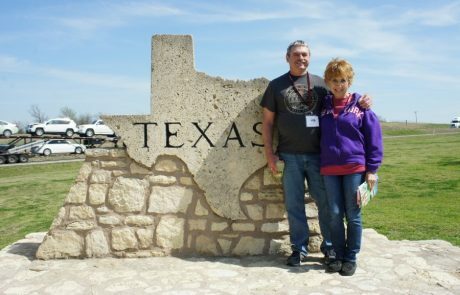 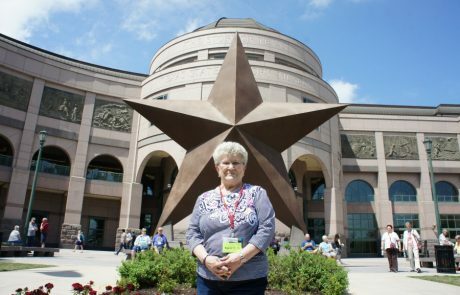 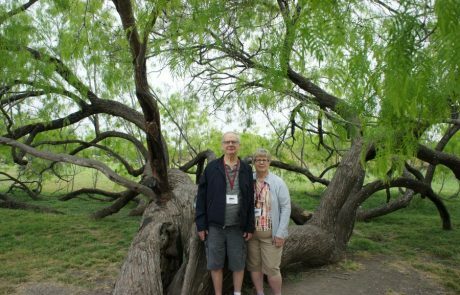 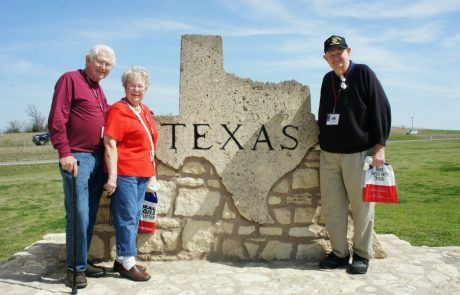 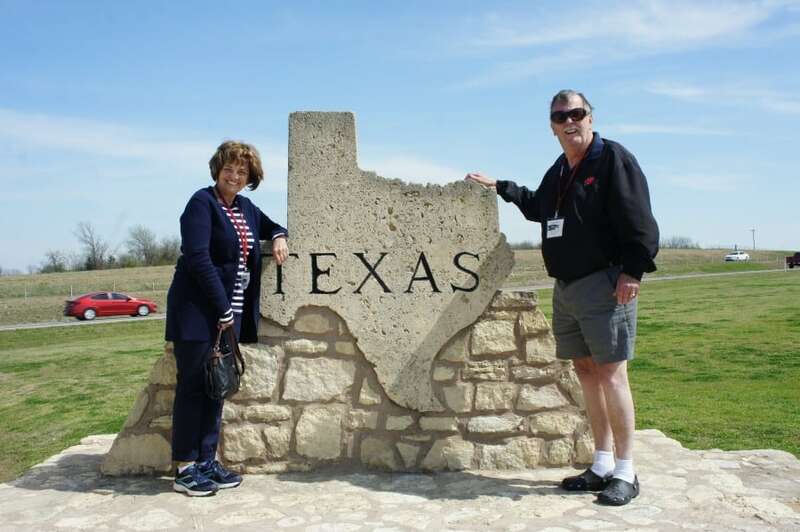 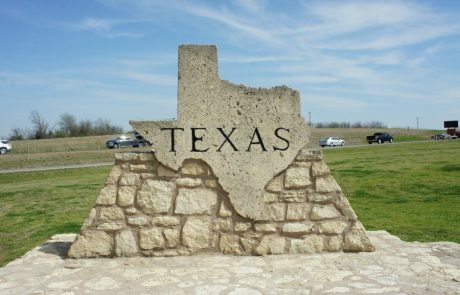 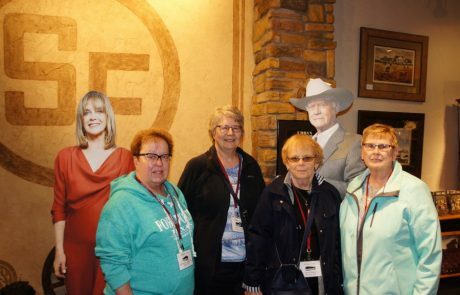 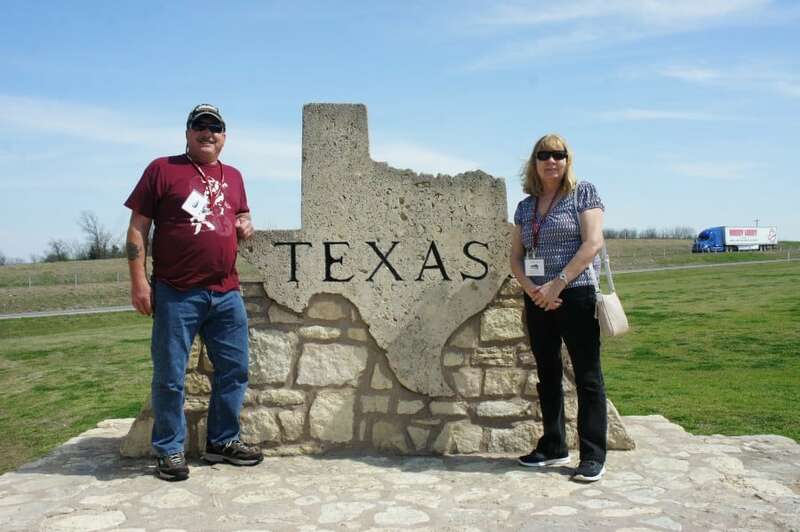 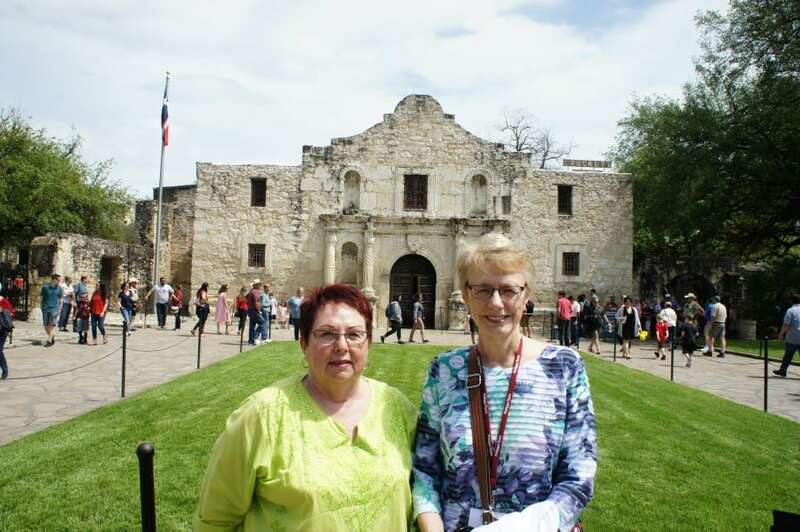 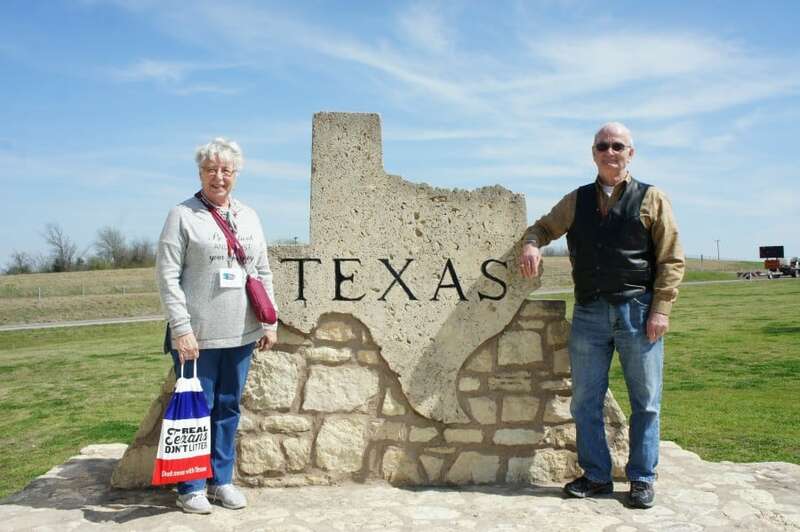 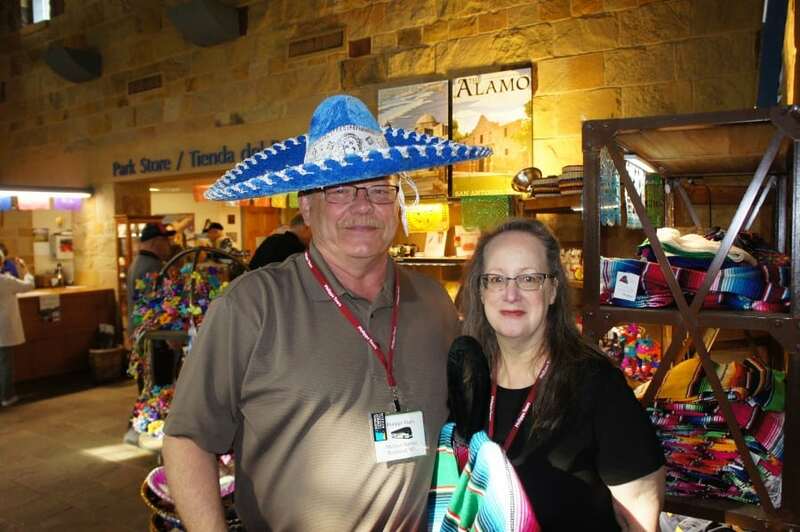 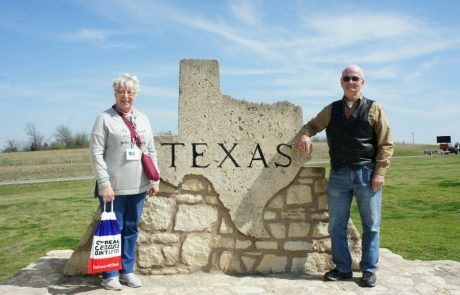 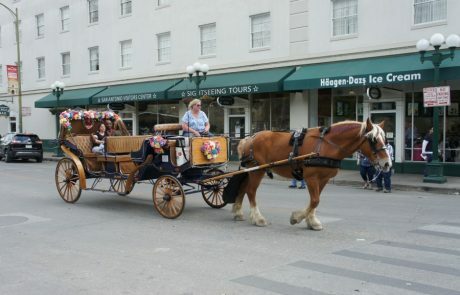 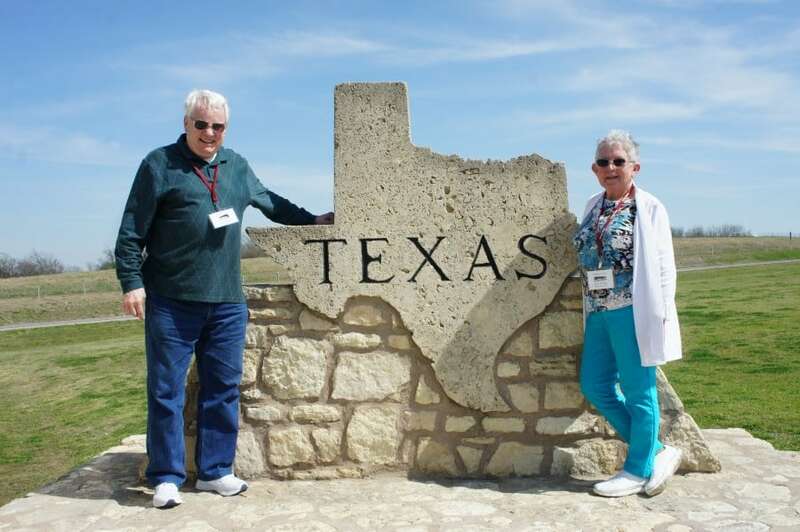 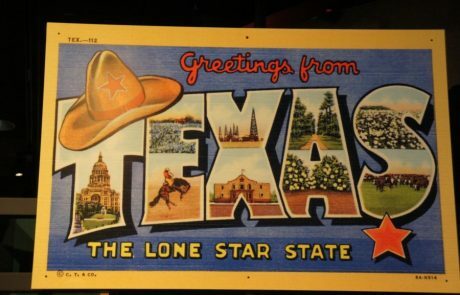 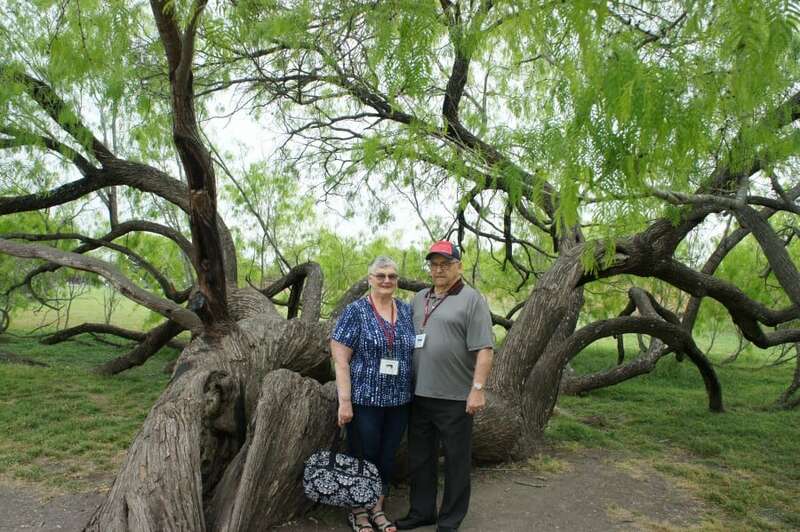 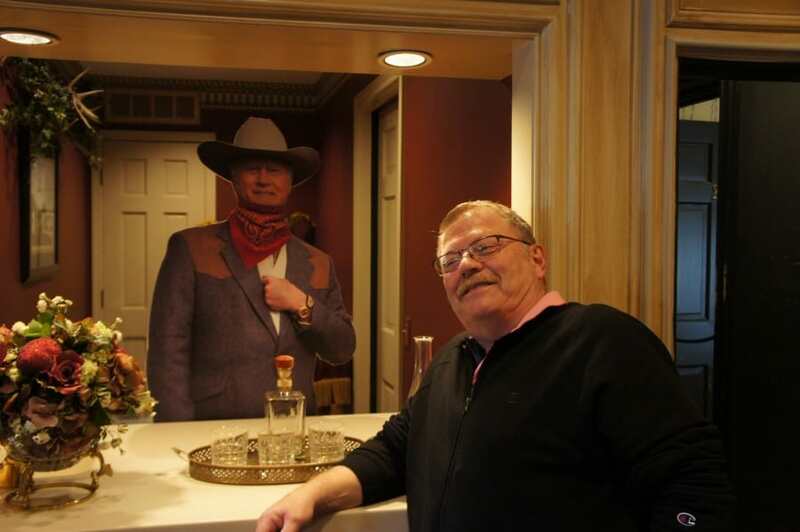 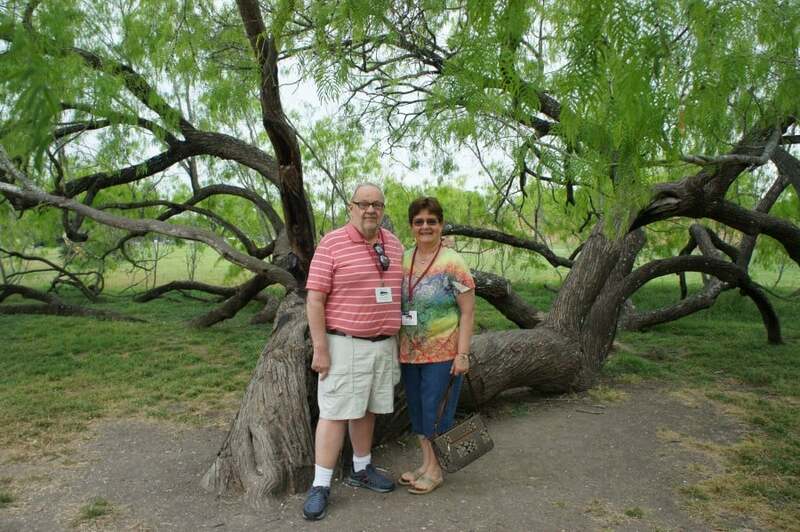 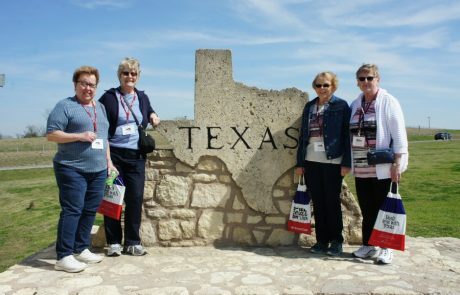 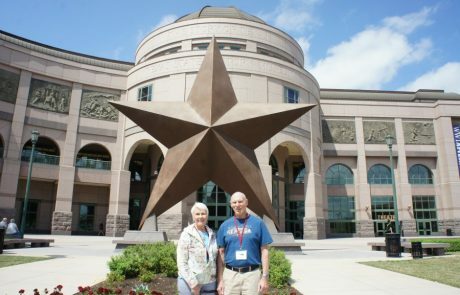 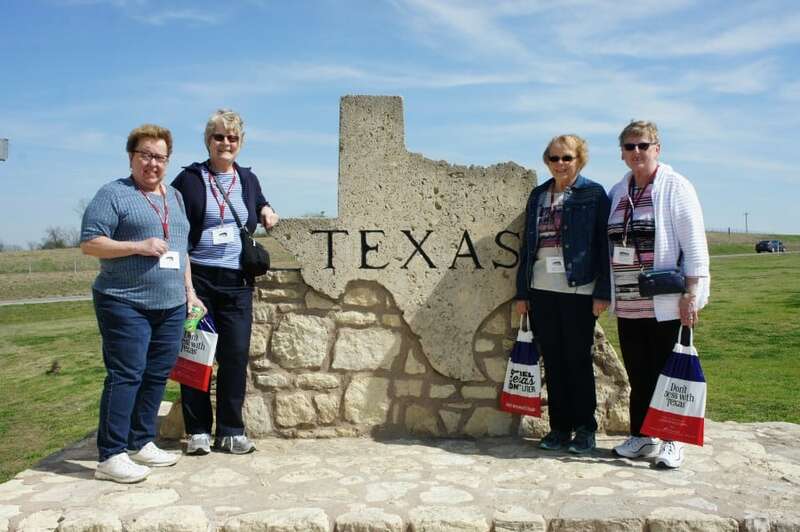 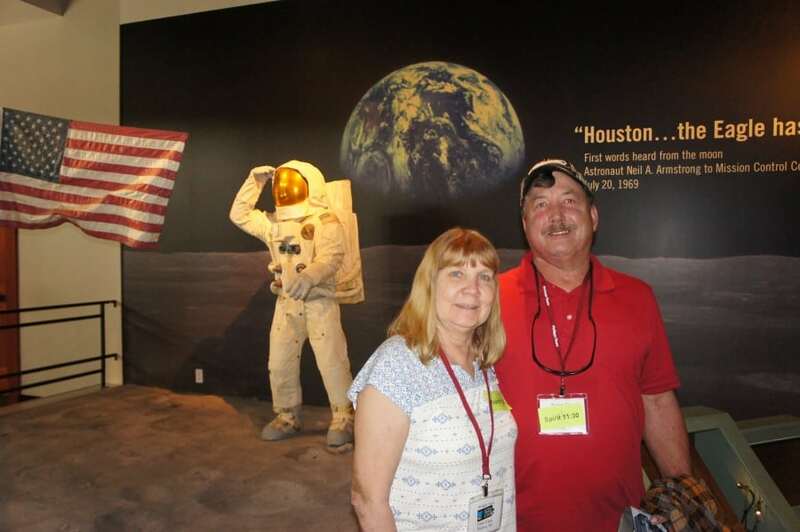 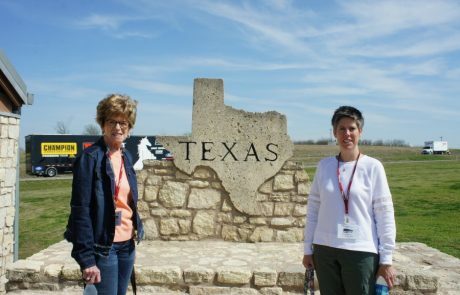 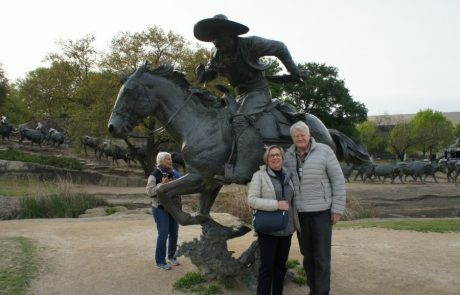 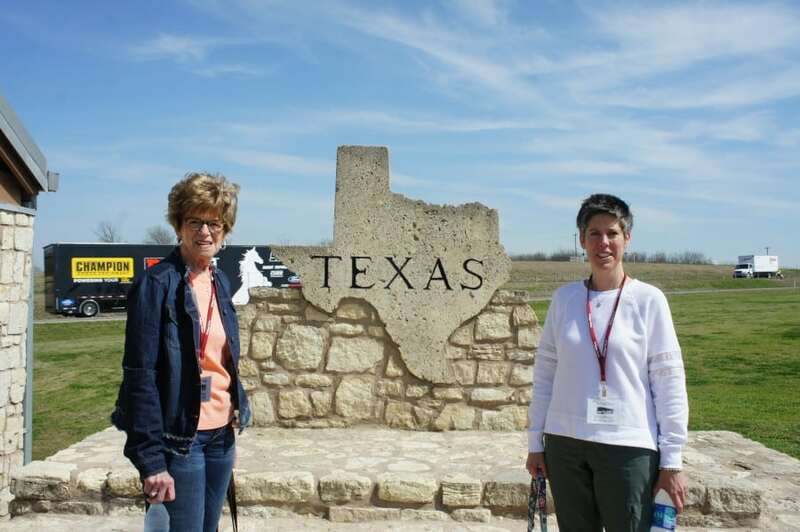 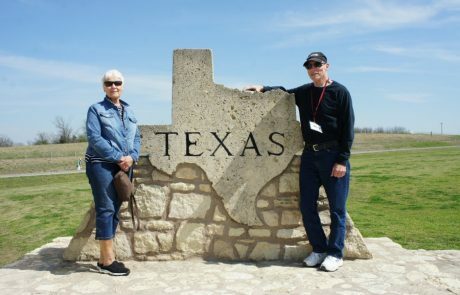 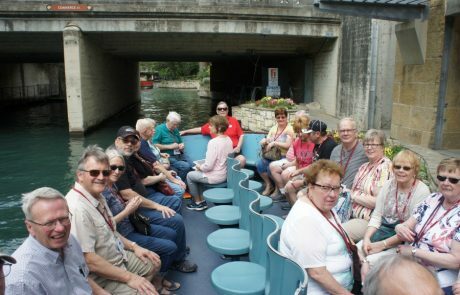 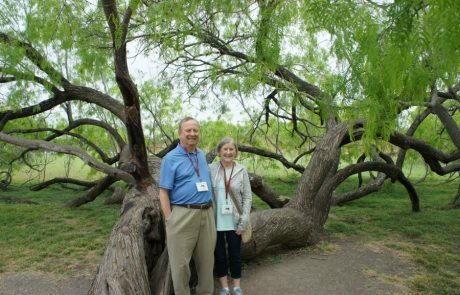 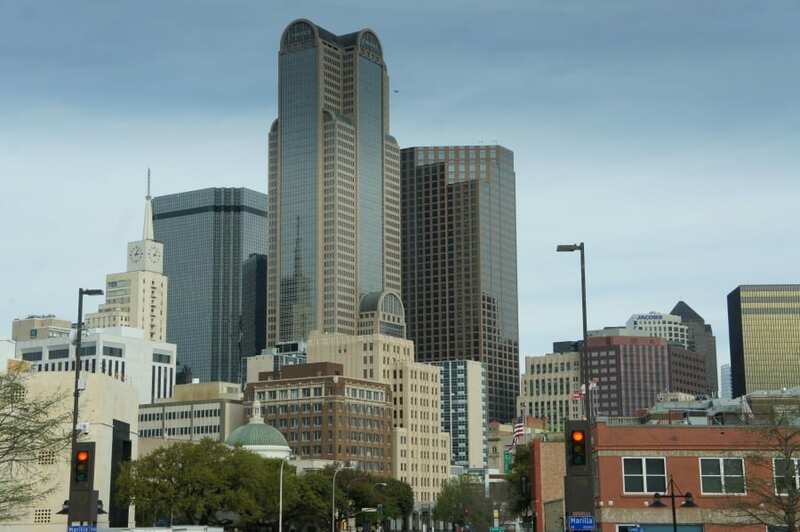 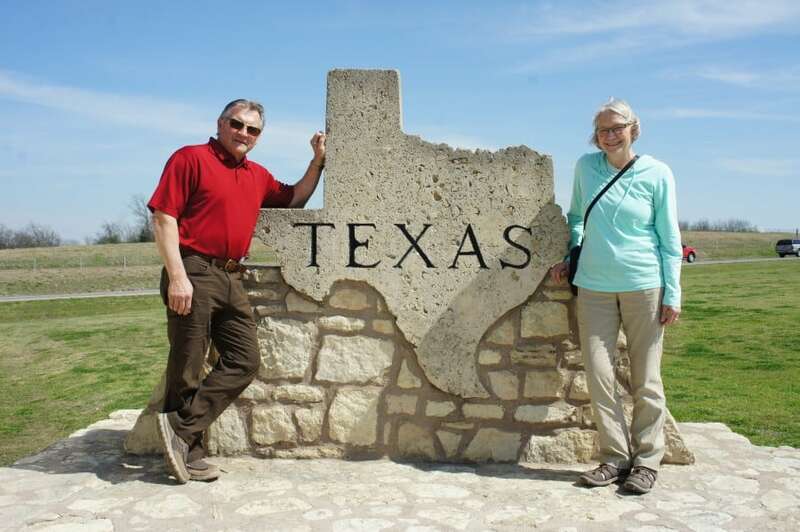 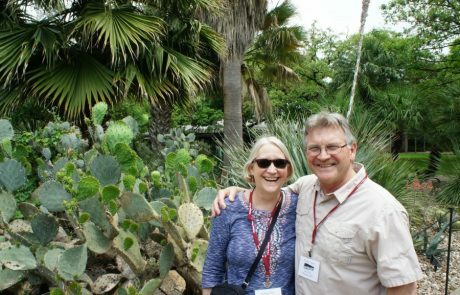 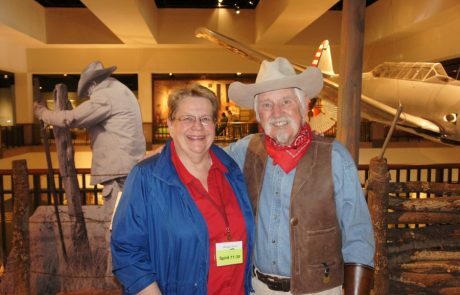 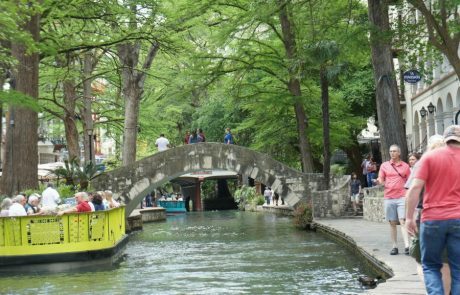 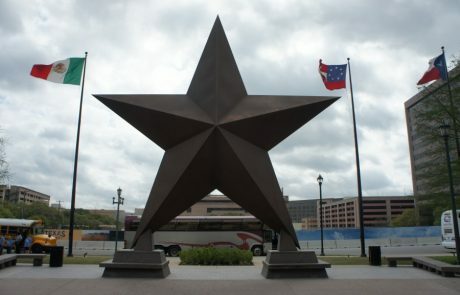 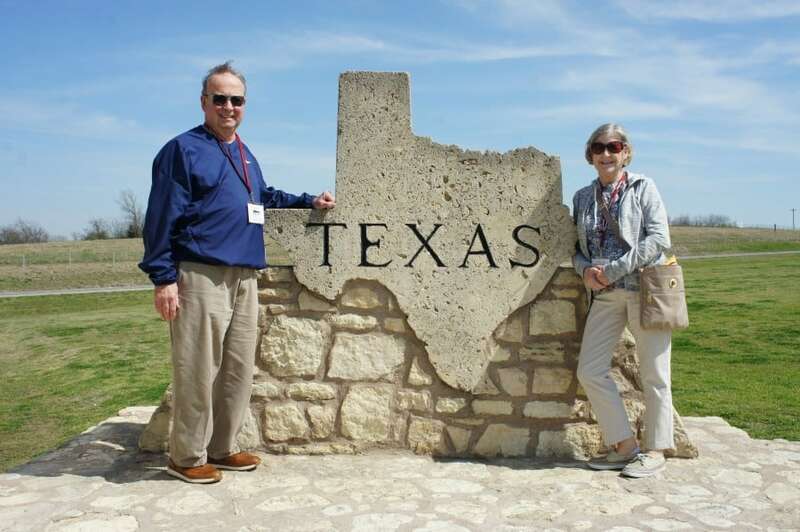 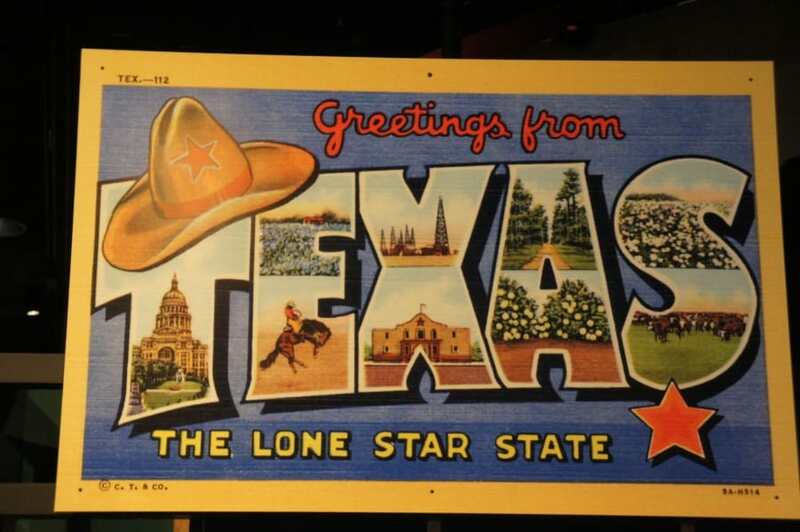 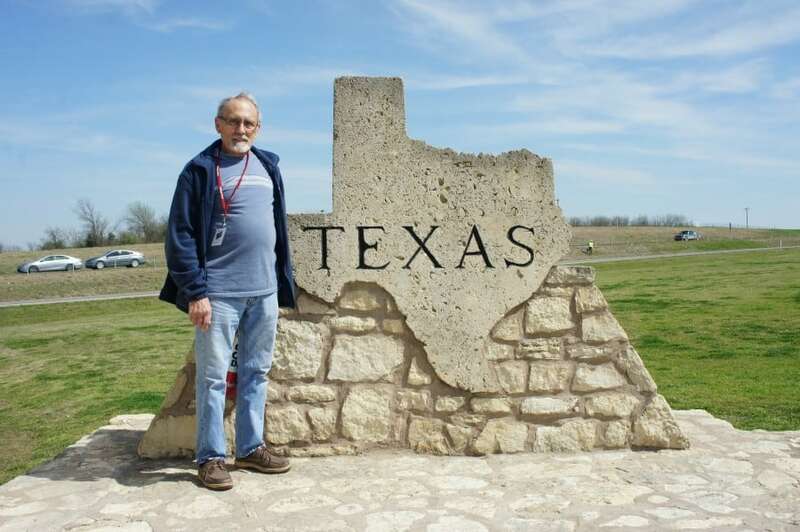 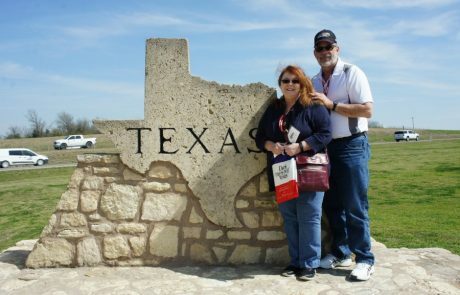 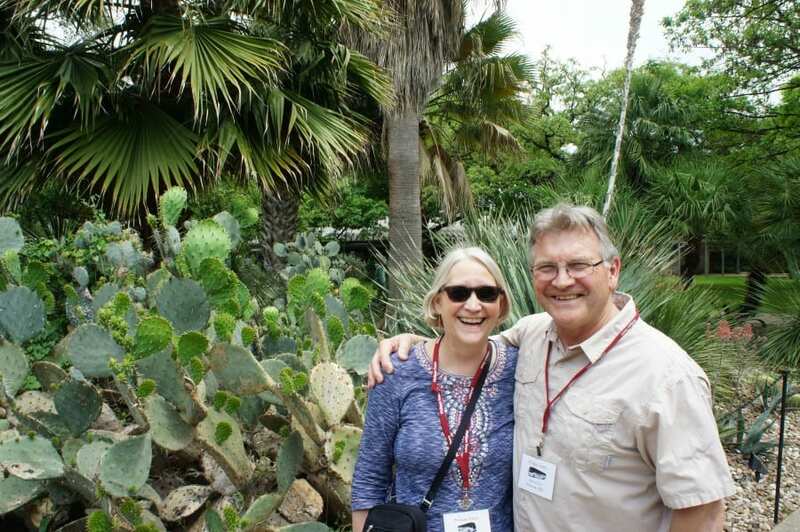 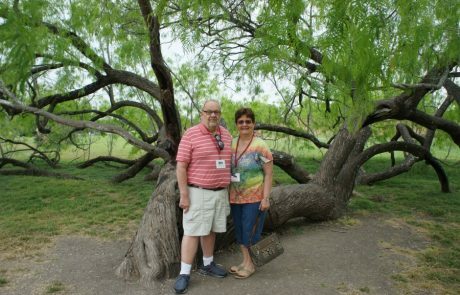 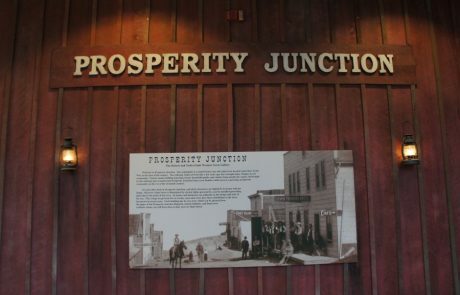 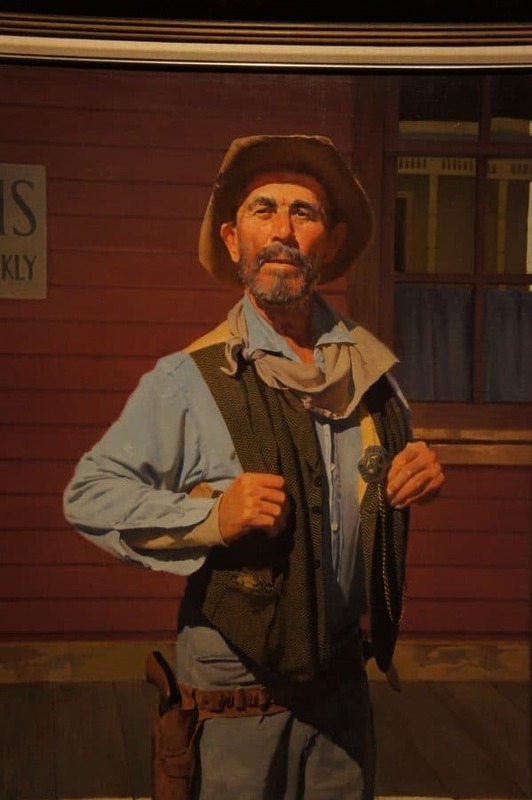 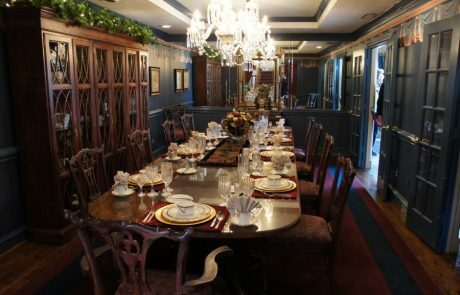 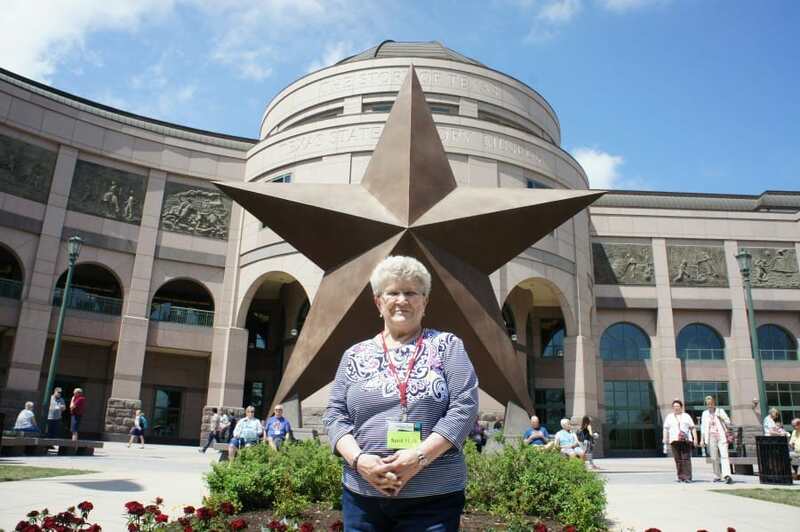 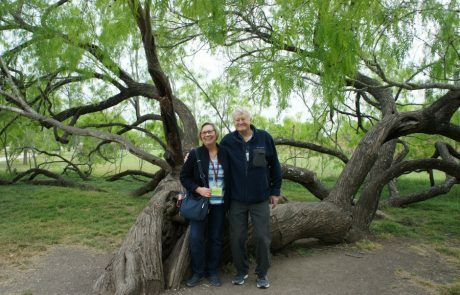 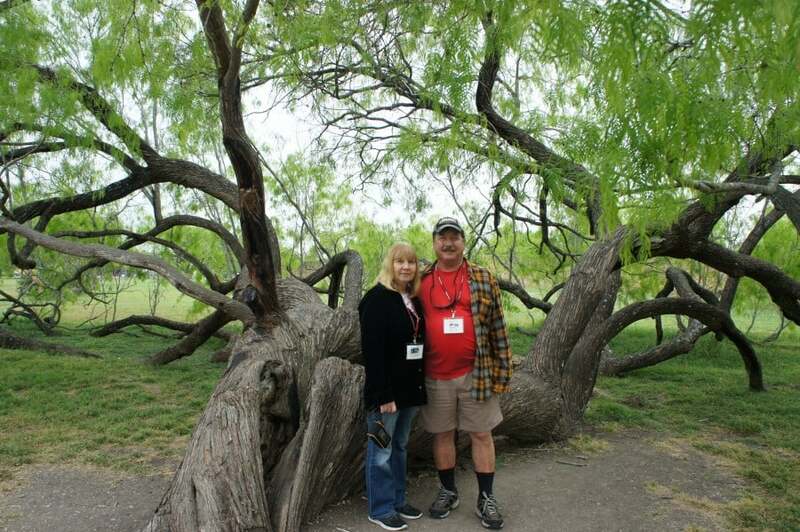 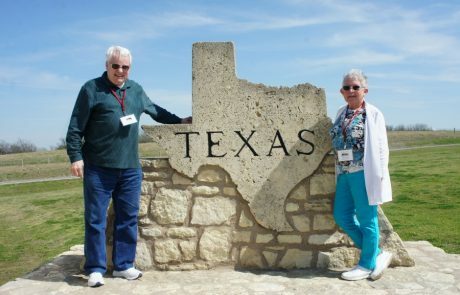 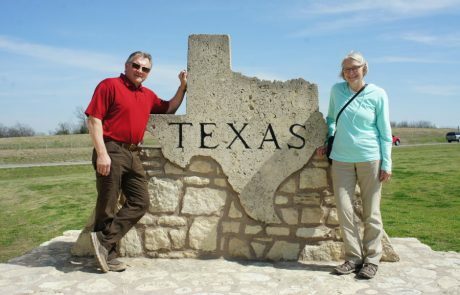 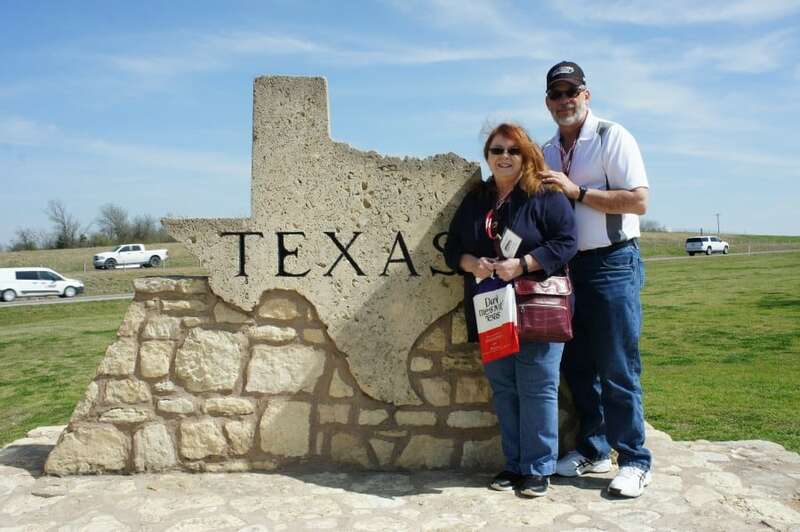 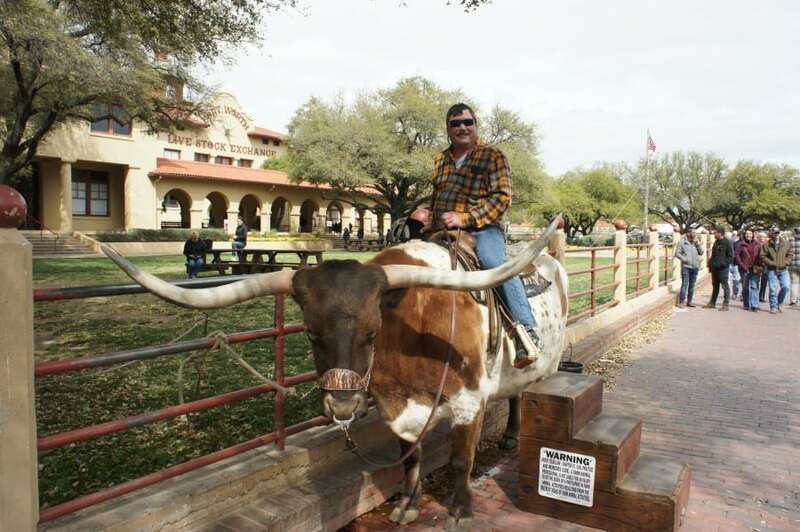 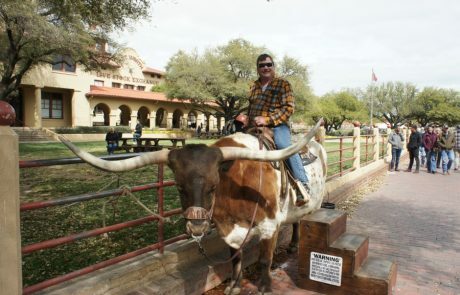 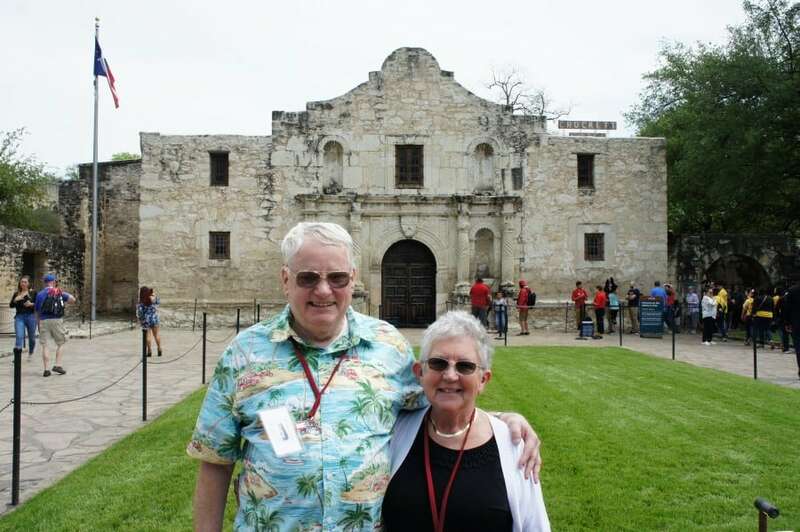 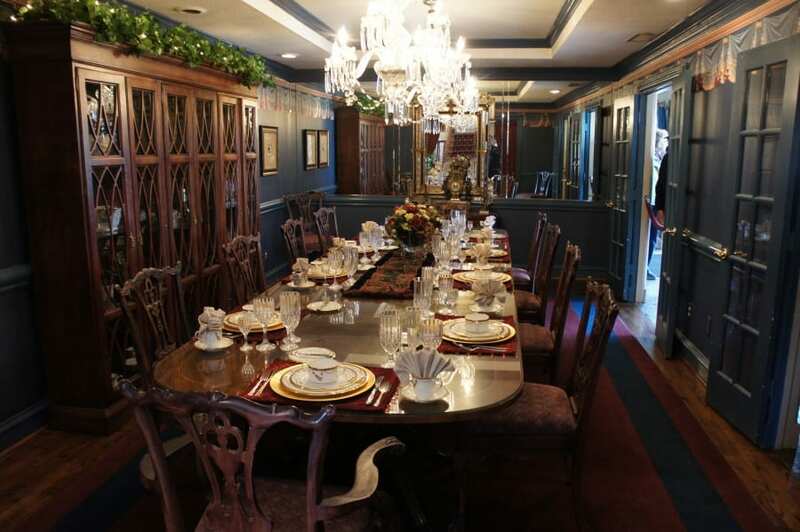 Texas | Philipps Bus Service, Inc.
A great time to visit Texas, come back here to check out our trip and view our photos. 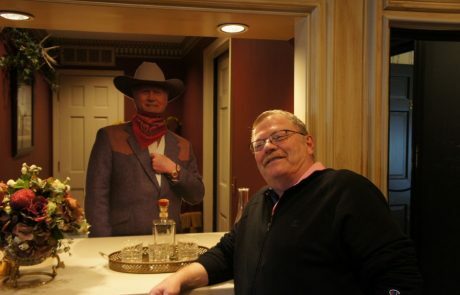 You may see someone you recognize. 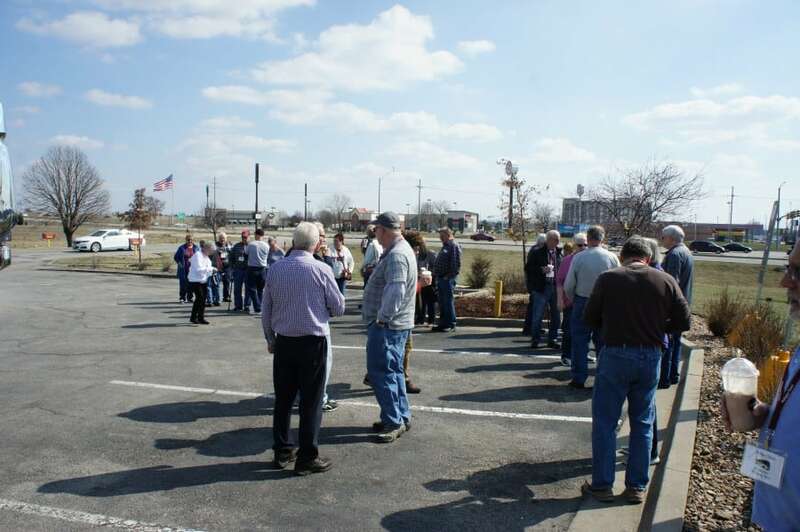 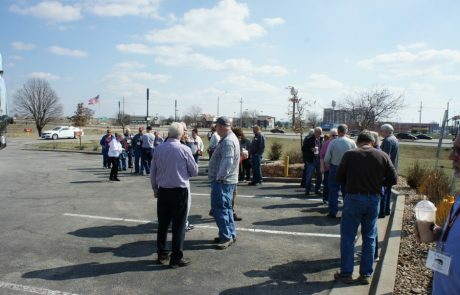 March 26, 2019 – Tuesday- A good start today we covered a lot of ground ending up in El Dorado, KS. 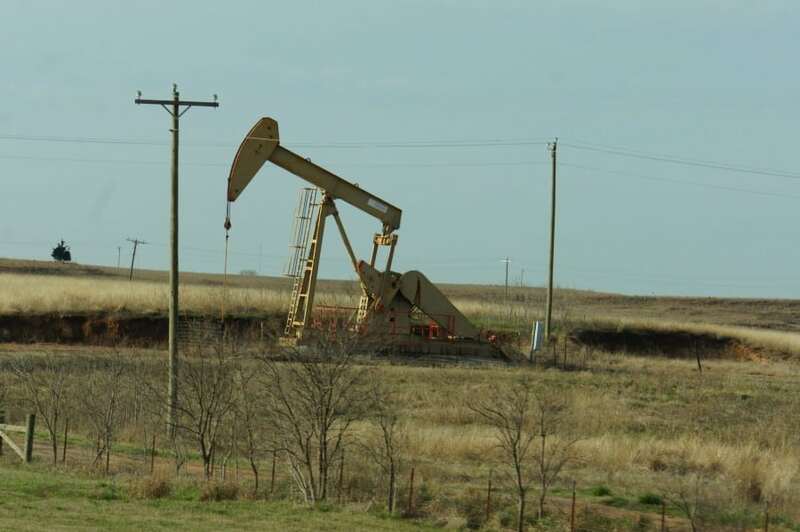 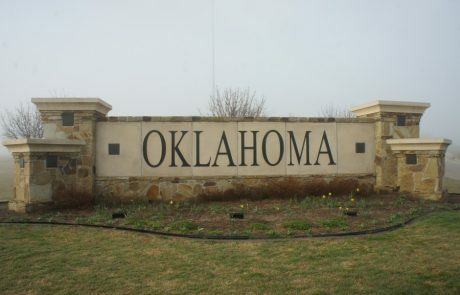 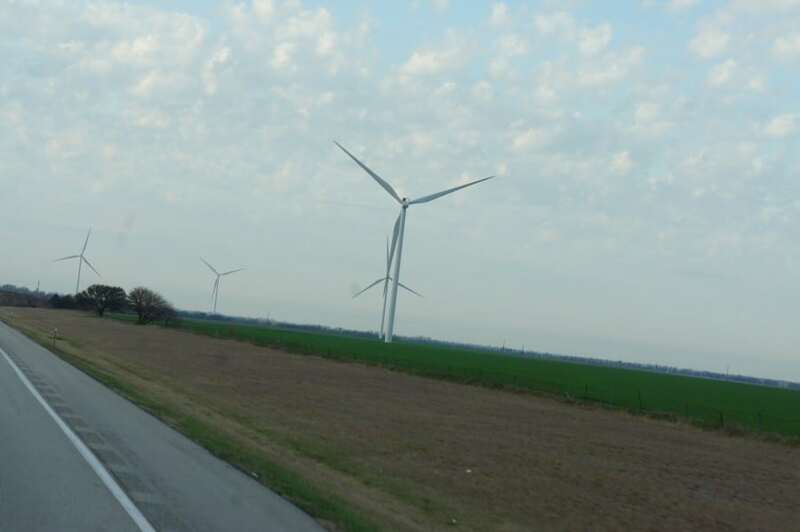 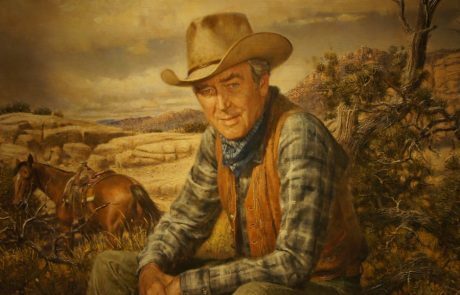 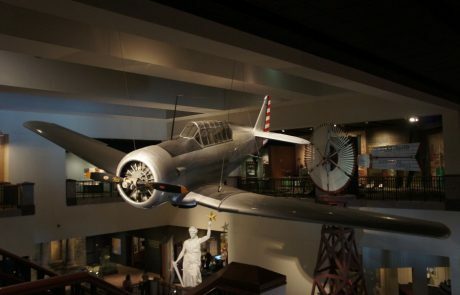 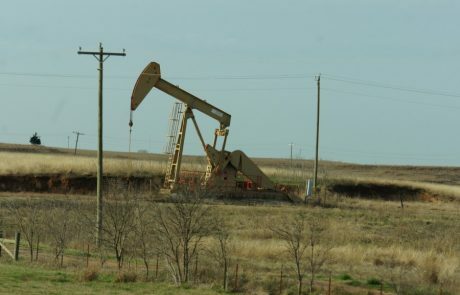 March 27, 2019 – Wednesday – This morning driving through Oklahoma on our way to the National Cowboy and Western Heritage Museum we noticed many wind mills and oil wells along the way. Once there we found out the museum was full of fantastic displays. 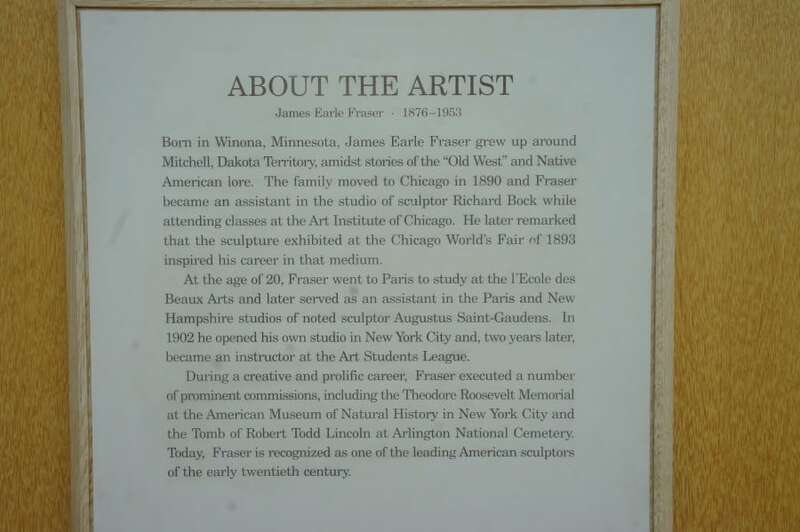 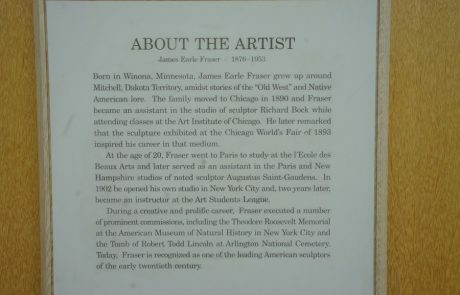 From the sculptures to the paintings, everything was interesting and fun to look at. 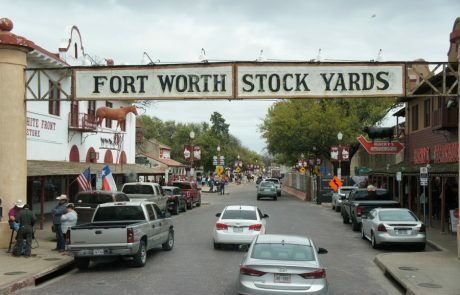 Tonight we stay south of Fort Worth at West Texas. 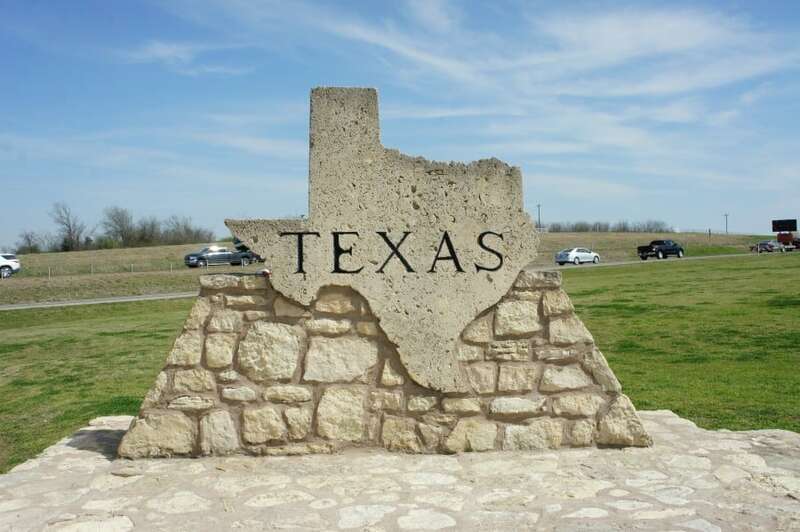 March 28, 2019 – Thursday – A beautiful day, high 70’s maybe 80. 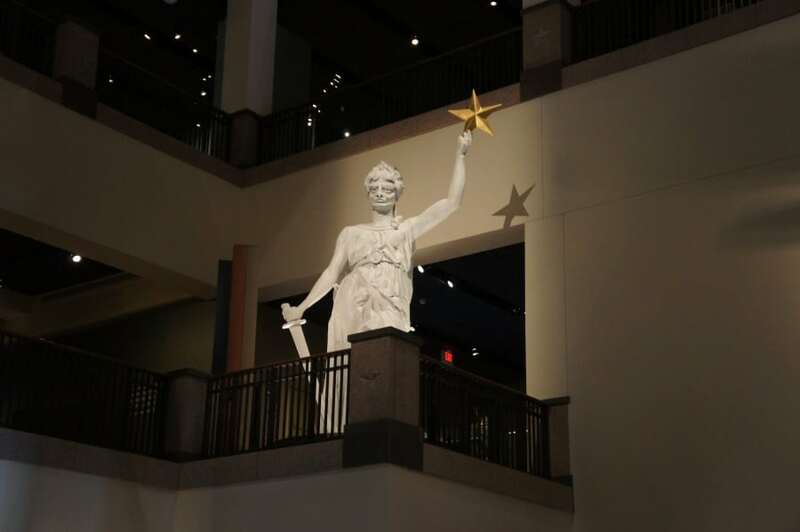 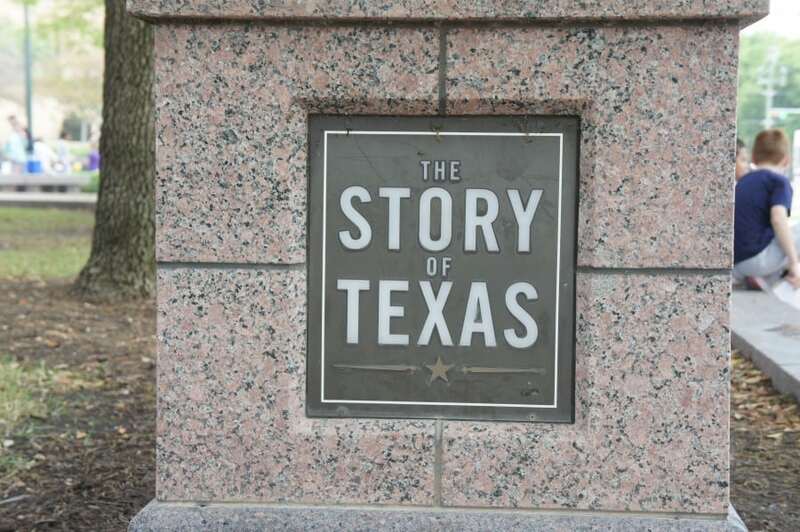 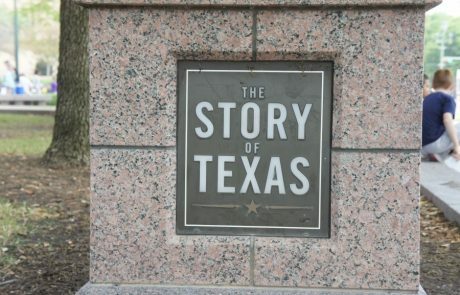 In Austin we stopped at the Story of Texas Museum. 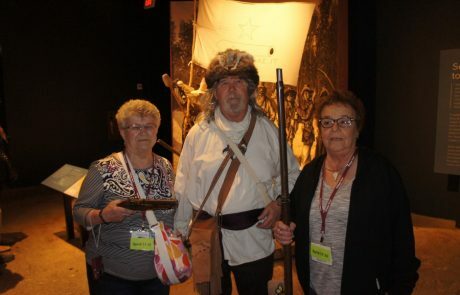 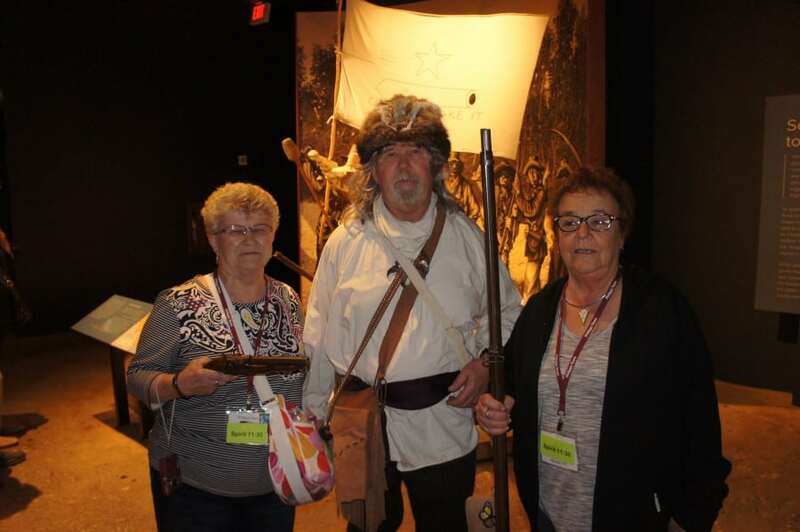 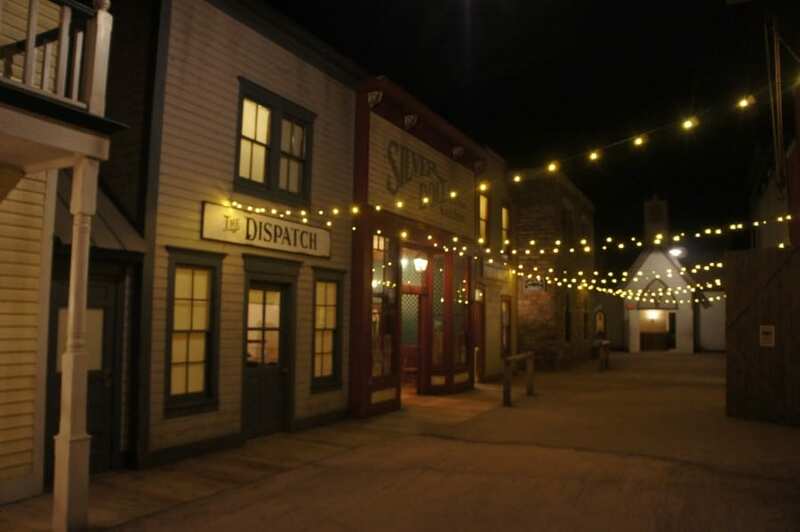 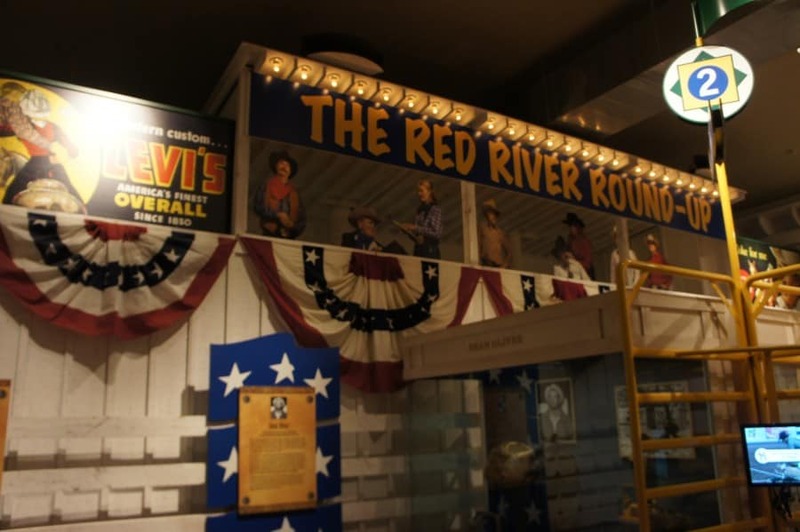 Laid out very well with lots of interesting exhibits and a few costumed interpreters. 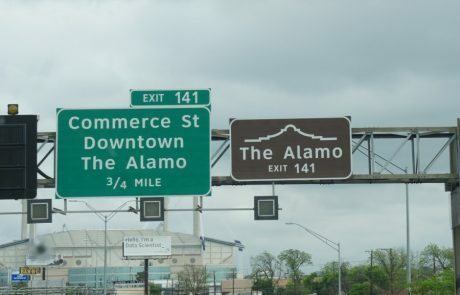 In San Antonio we first stopped at the Imax movie the Price of Freedom. 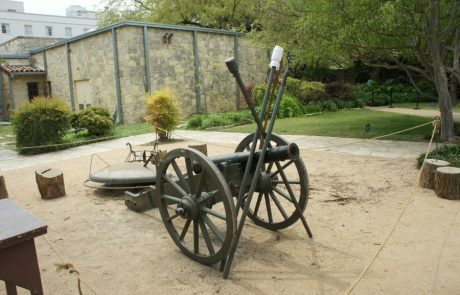 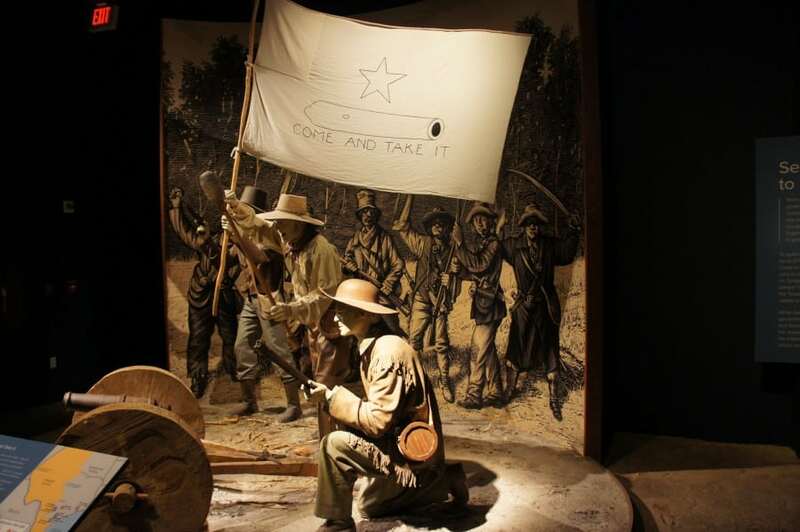 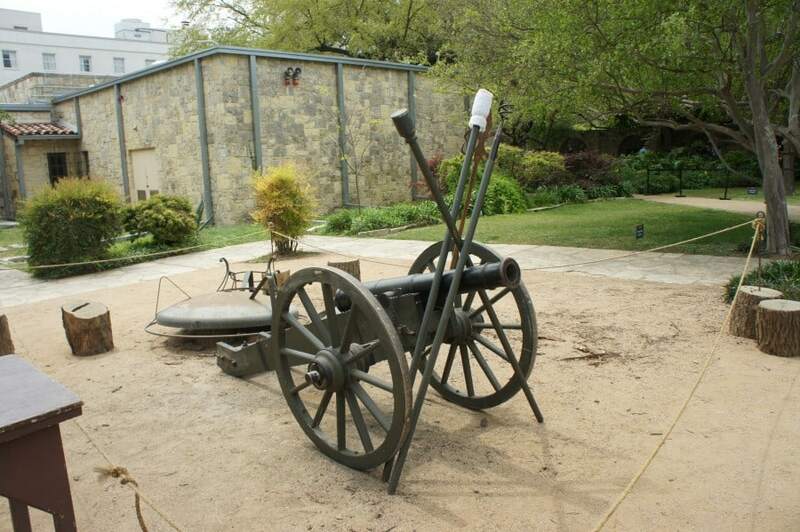 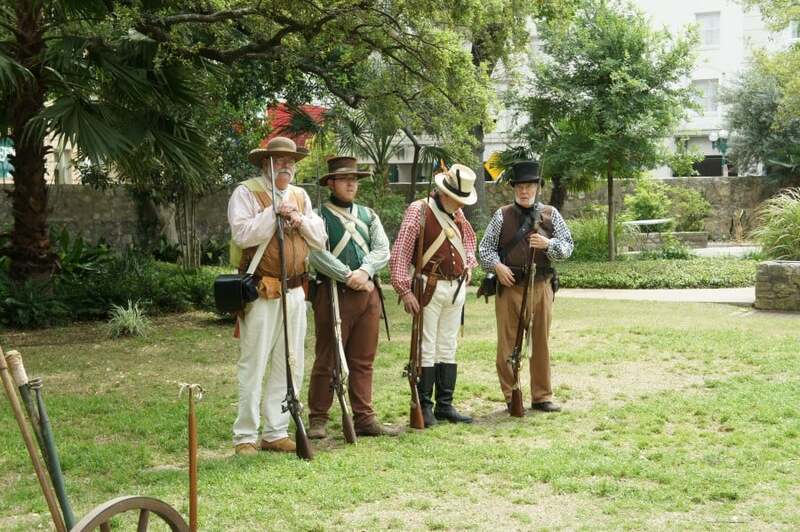 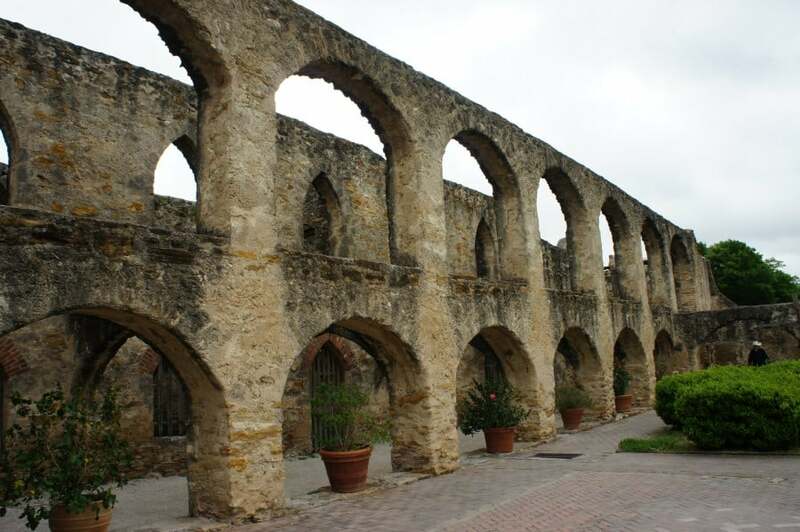 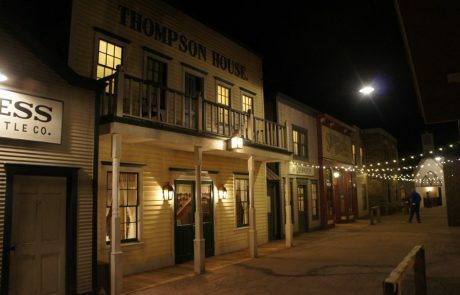 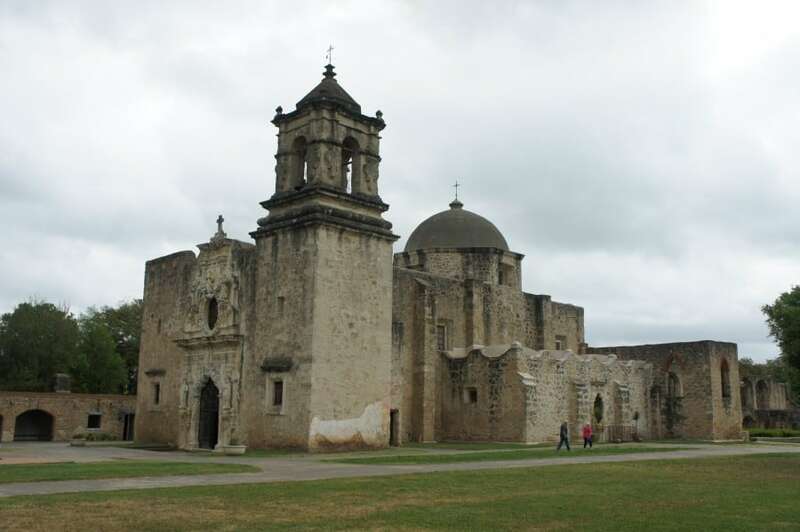 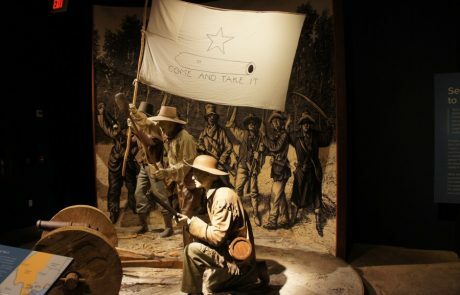 The movie tells the story of the Alamo, a must see before you visit the actual Alamo. 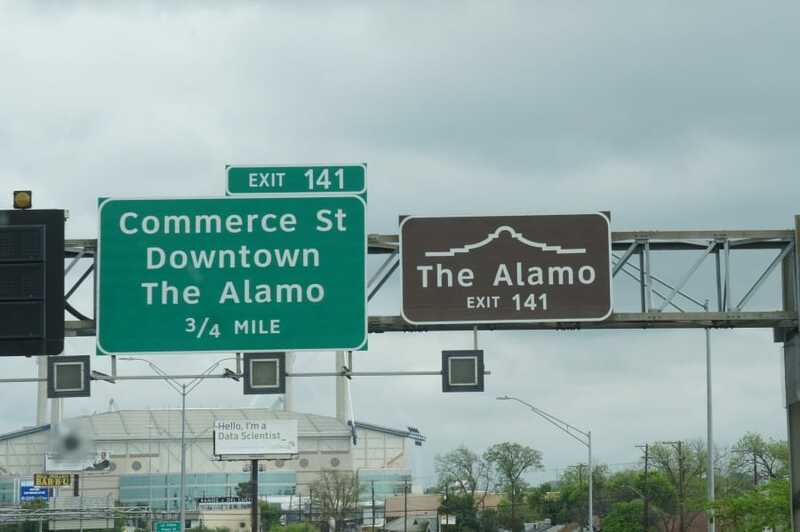 We’ll see that tomorrow. 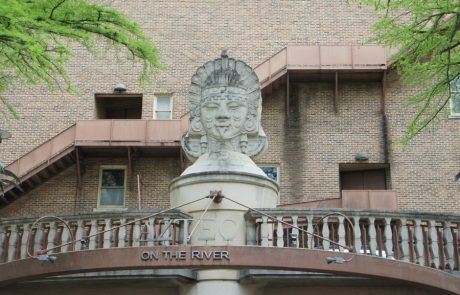 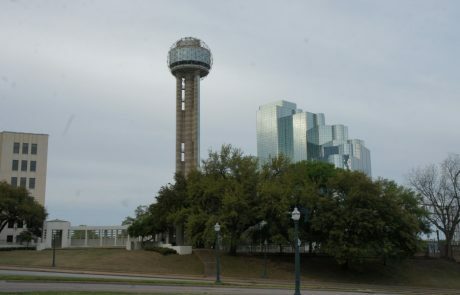 Our hotel is fantastic, the Drury Plaza located on the riverwalk. 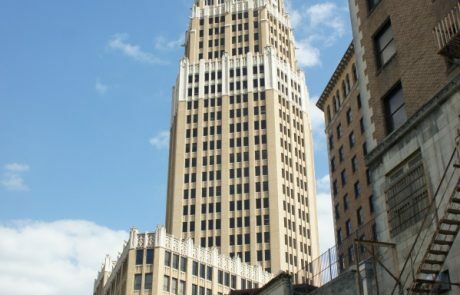 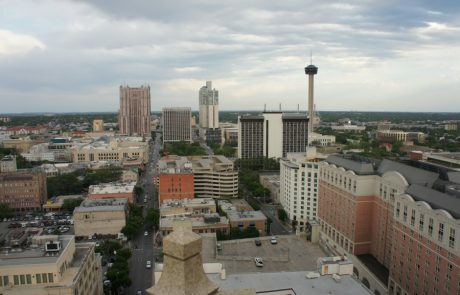 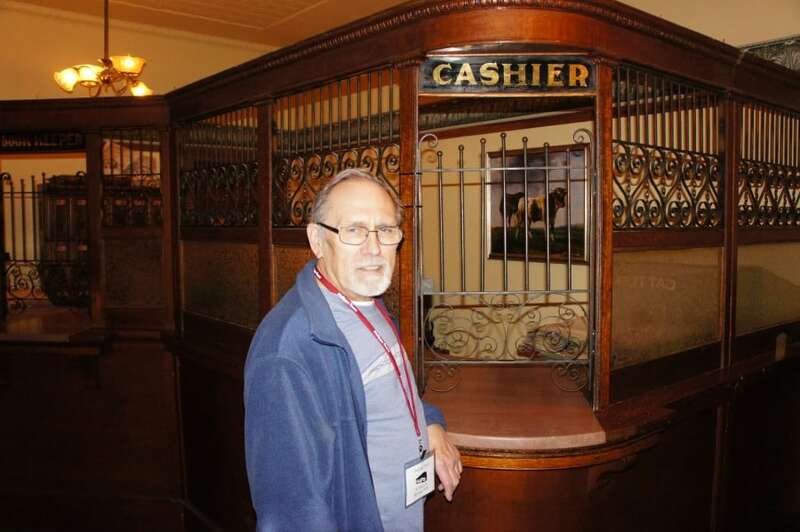 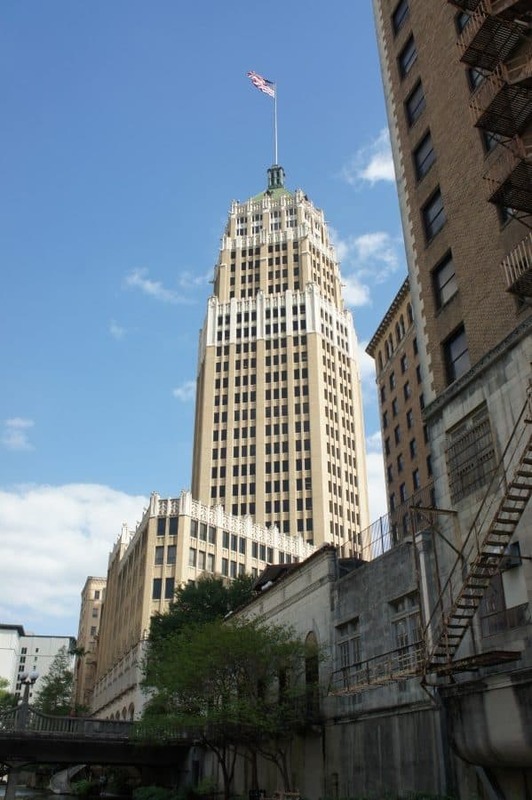 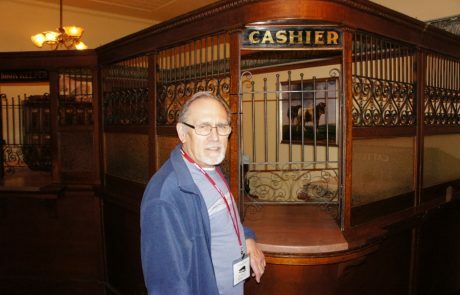 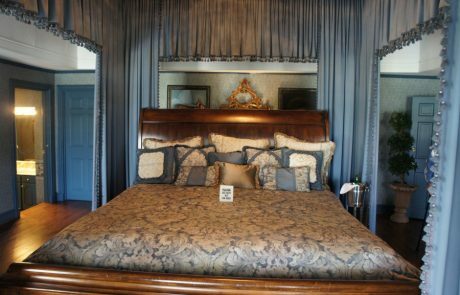 It is the former Alamo National Bank building converted to a hotel and is stunning. This afternoon folks walked all around the town as everything is so close to the hotel. 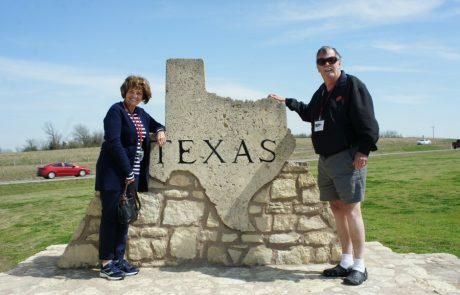 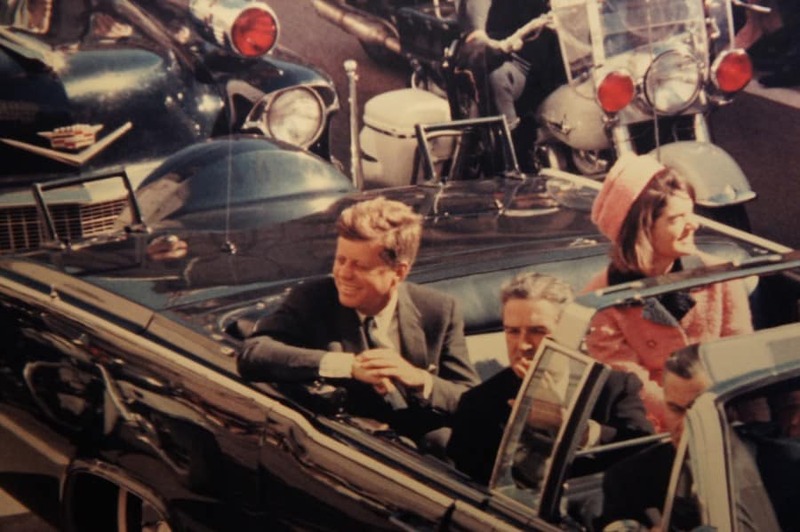 March 29, 2019 – Friday- A perfect day for sightseeing. 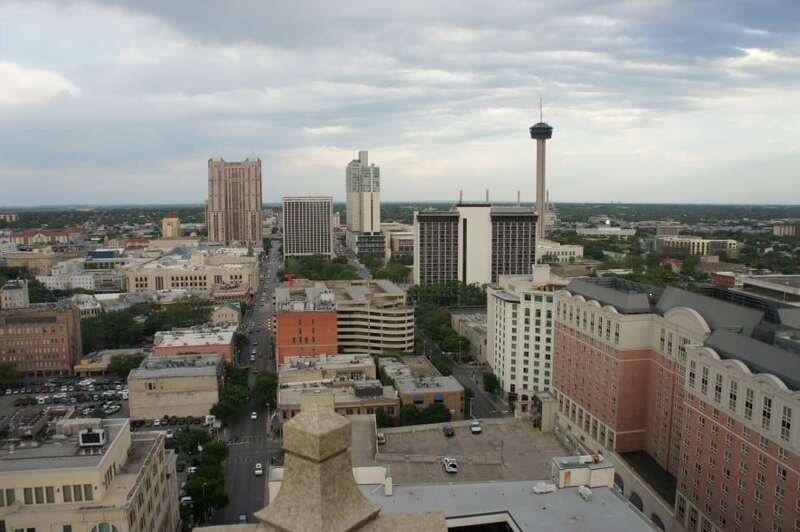 Mostly cloudy high 70’s with a light breeze. 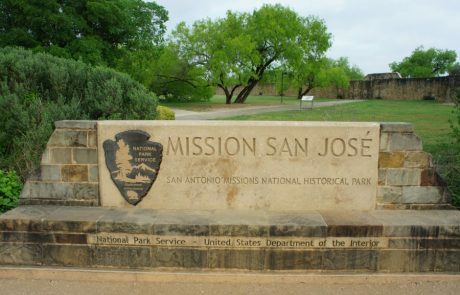 We started at the San Jose Mission. 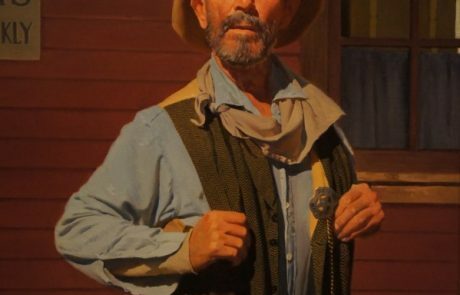 A film first then a ranger guided tour throughout the mission. 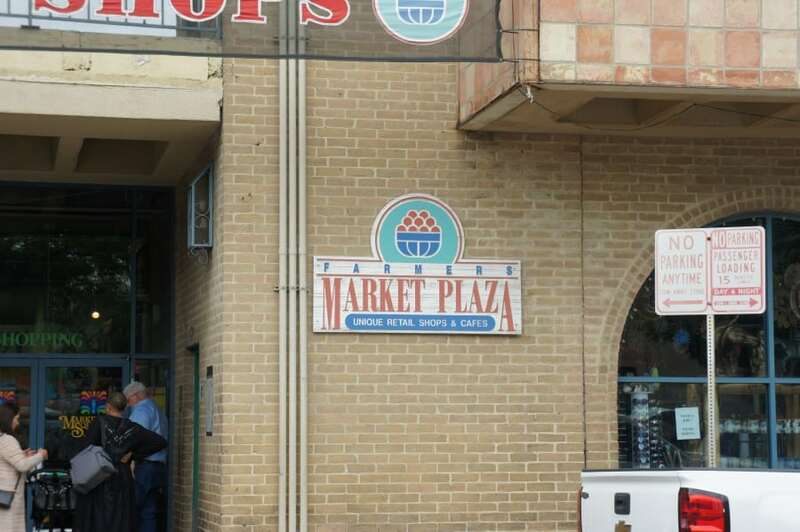 For lunch we stopped at the farmers market and had a chance for some good souvenir shopping. 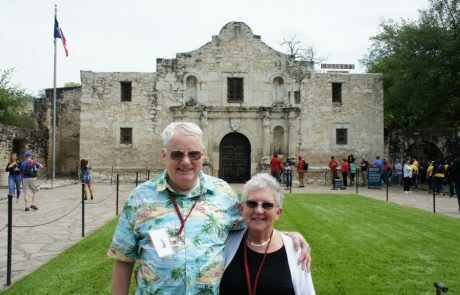 In the afternoon we toured inside the Alamo and returned to the hotel. 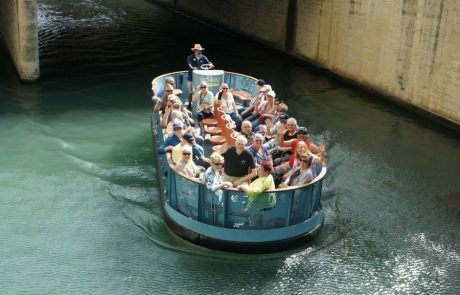 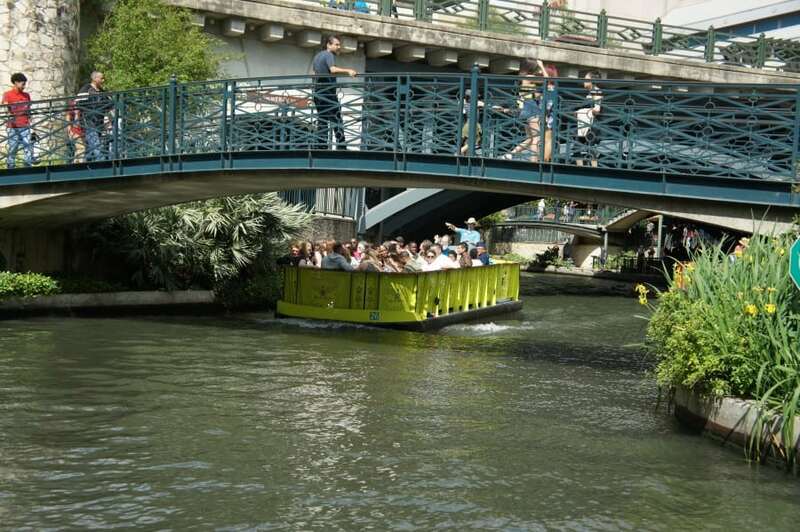 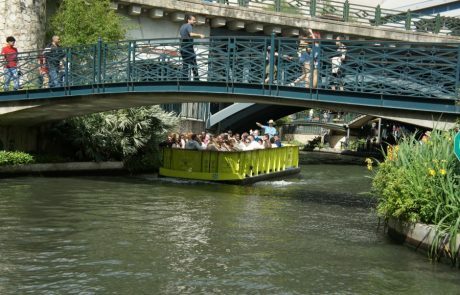 At the hotel we met two river barges and had an hour tour of the waterways along the river walk. 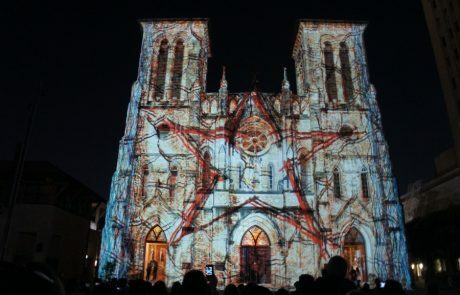 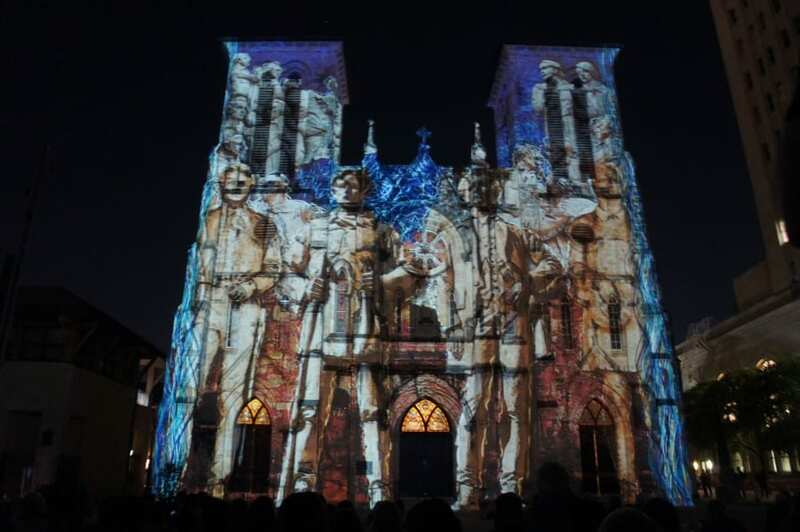 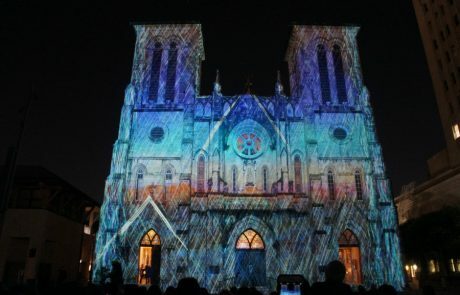 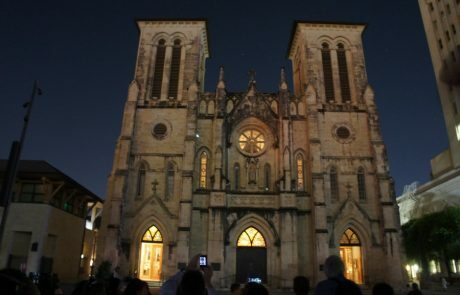 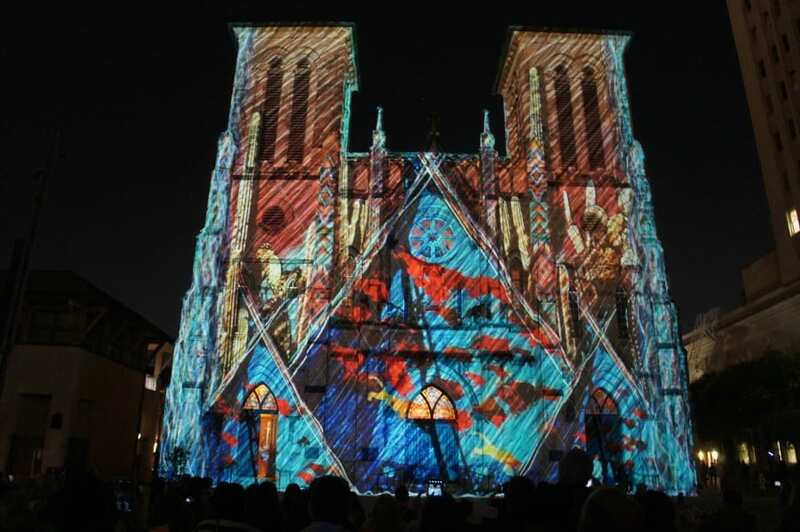 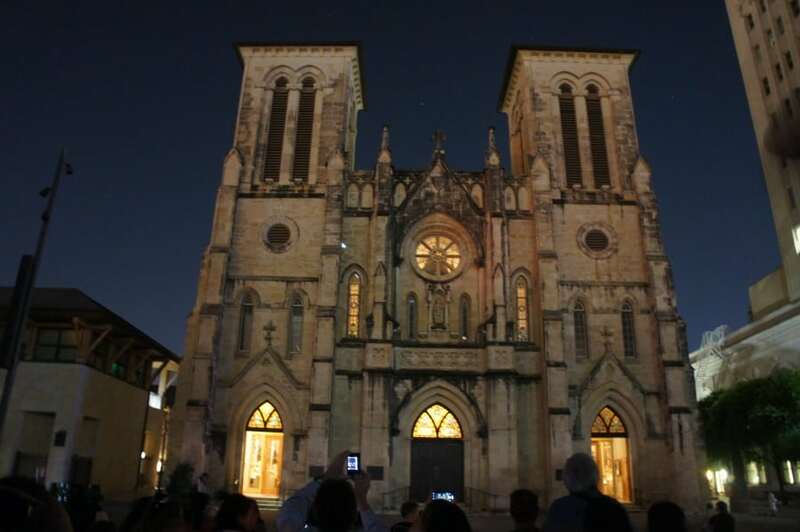 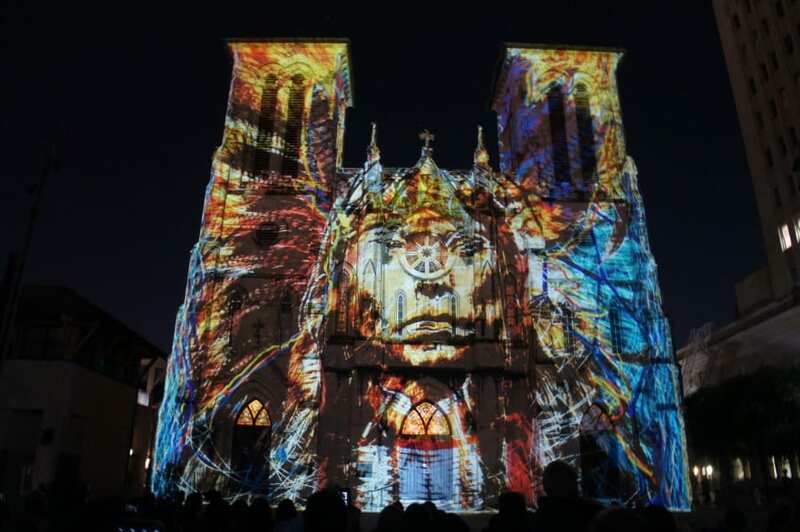 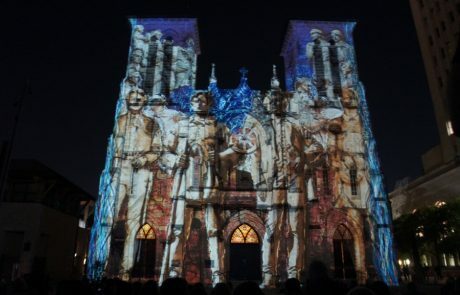 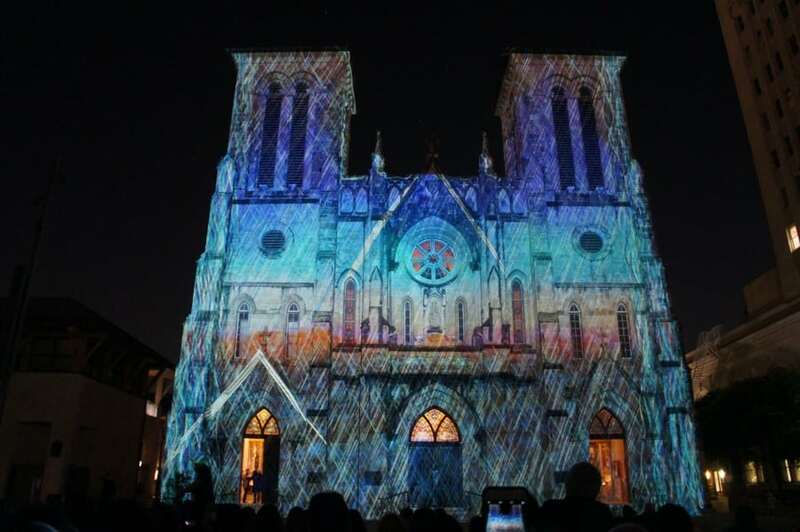 Tonight we’ll see the Saga, a light show on the San Fernando Cathedral. 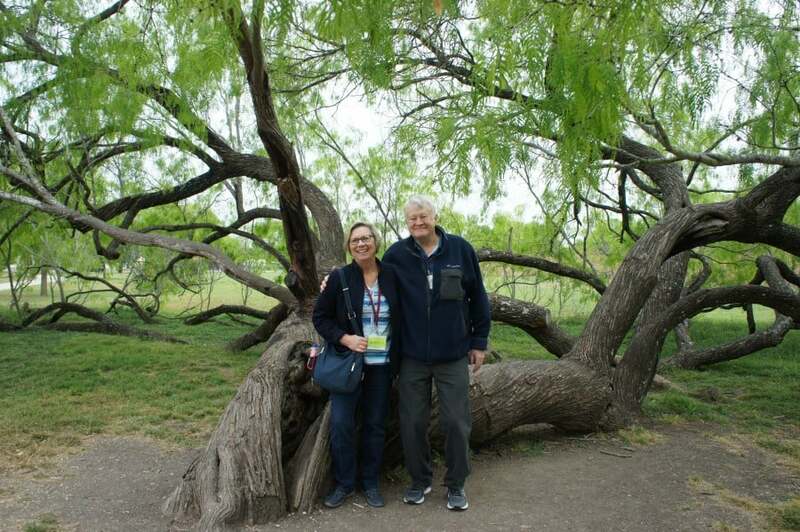 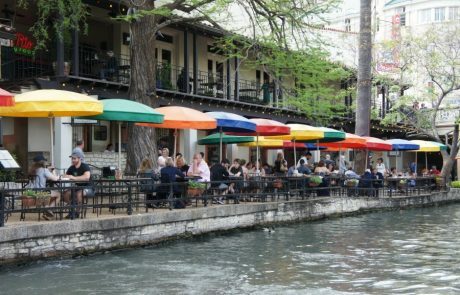 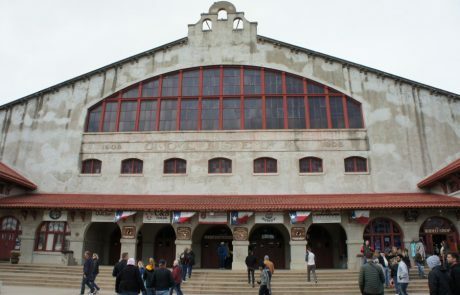 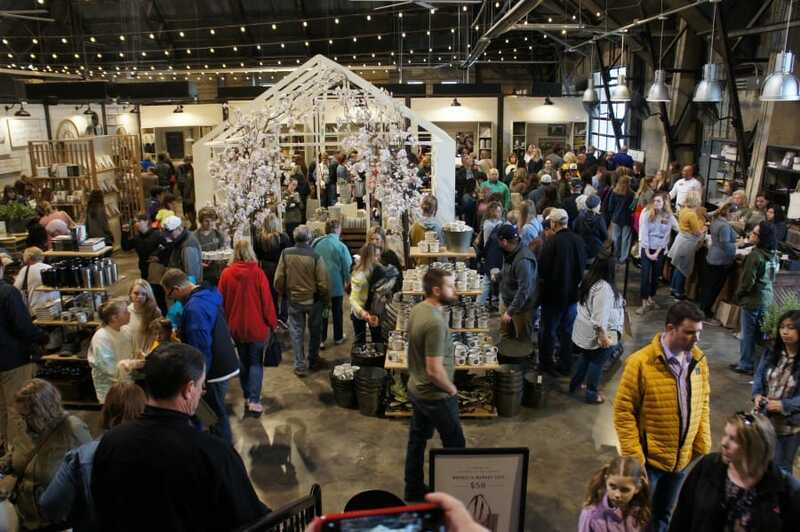 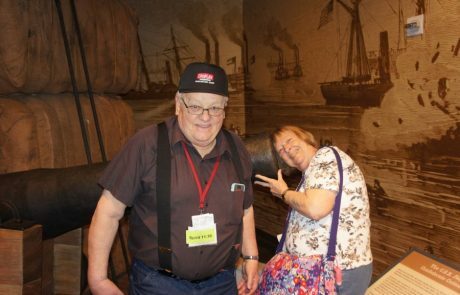 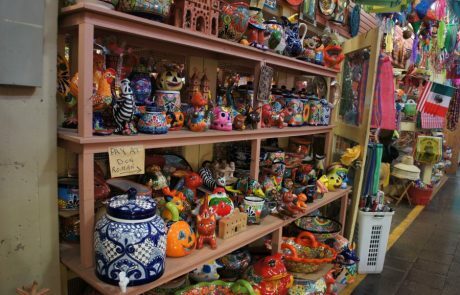 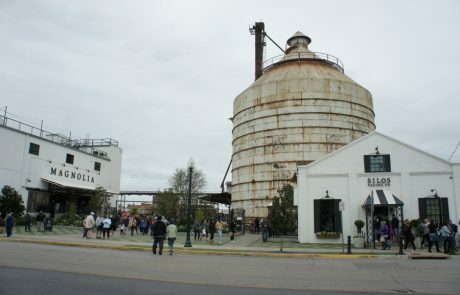 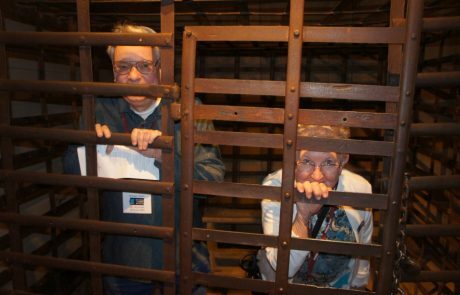 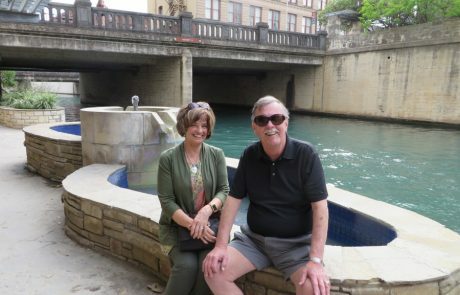 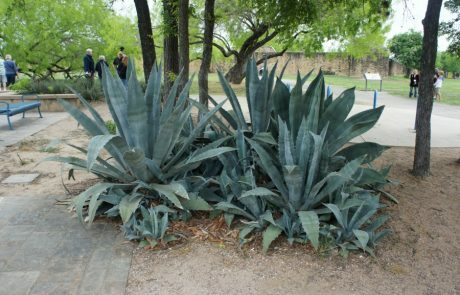 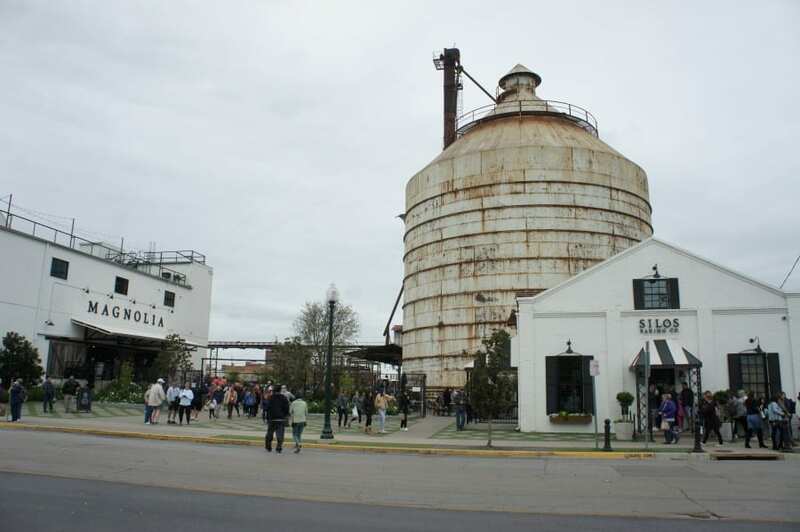 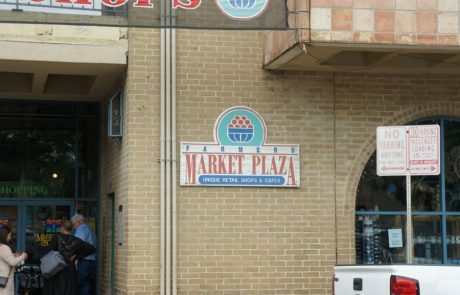 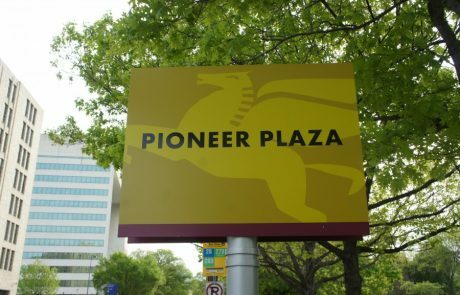 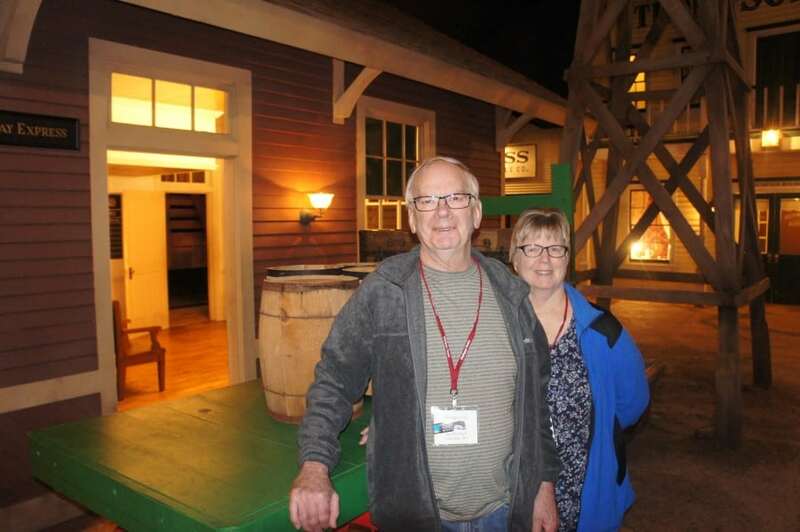 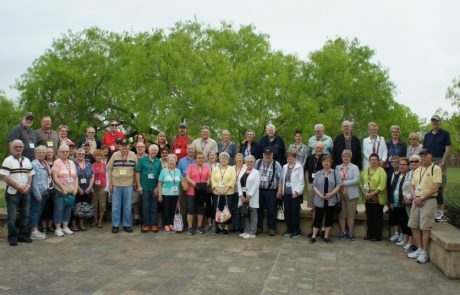 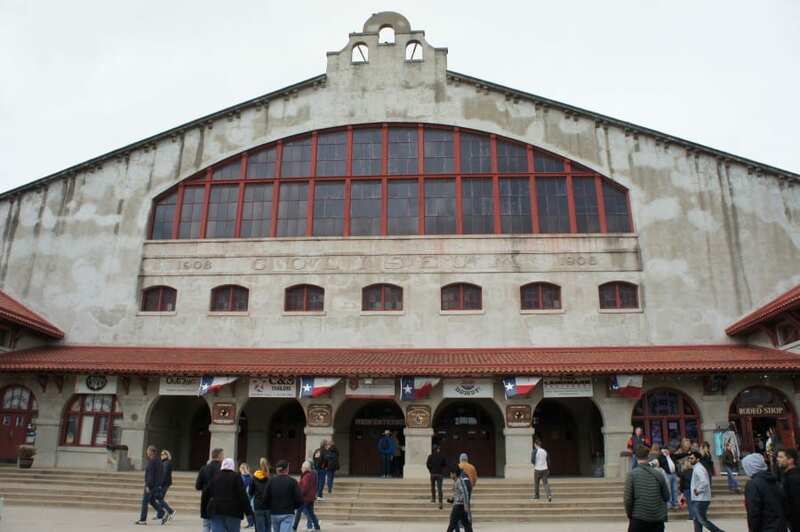 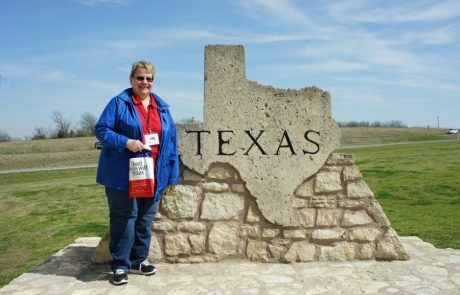 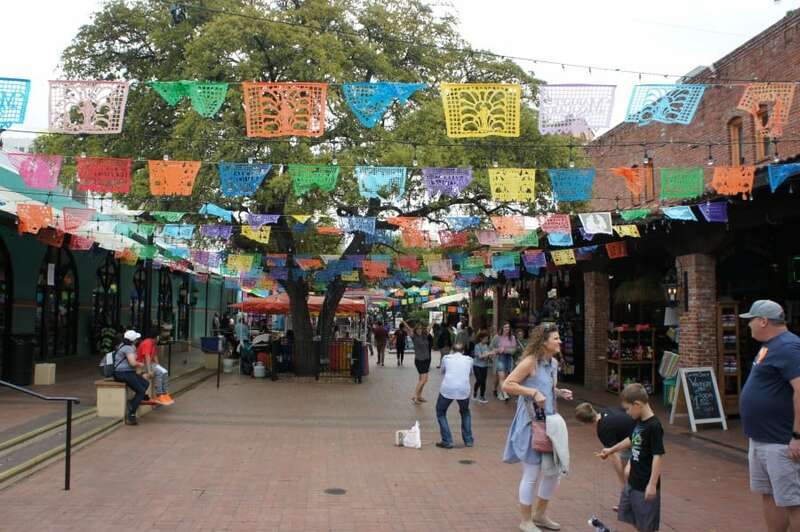 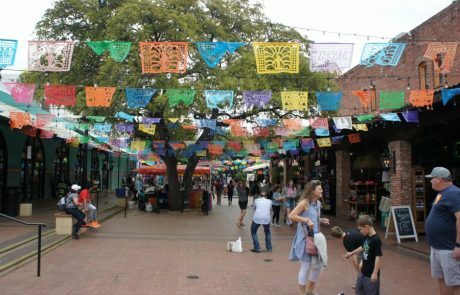 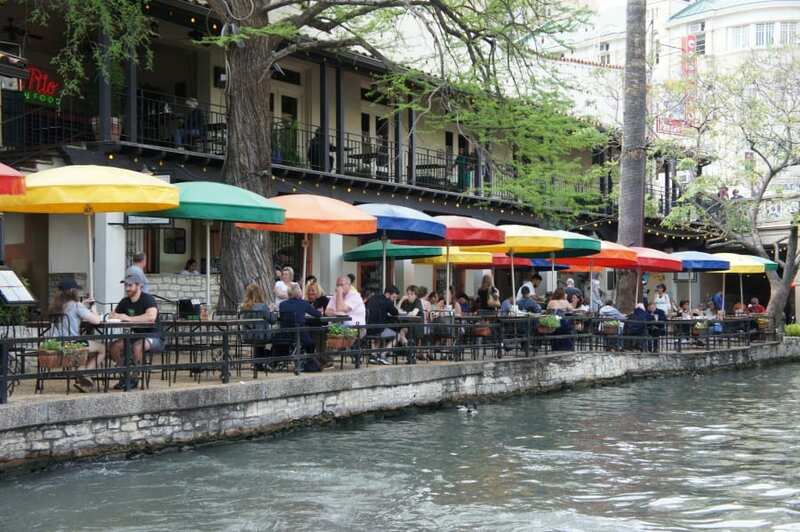 March 30, 2019 – Saturday- It’s cooler today as we continue and stop at Chip and Joann’s Magnolia Market Place at the Silos. 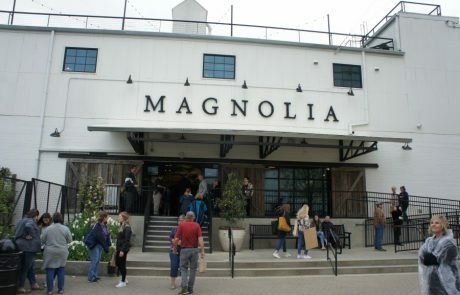 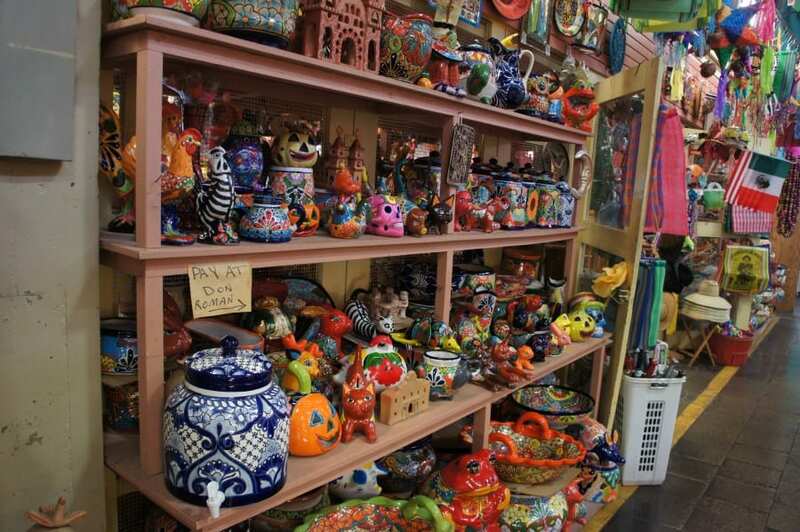 Many purchases were made and we went on our way. 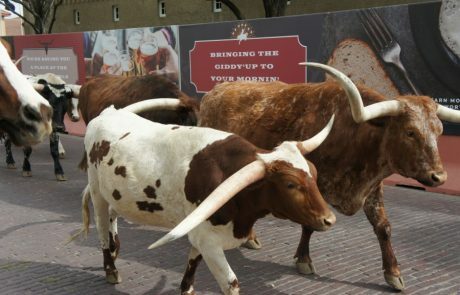 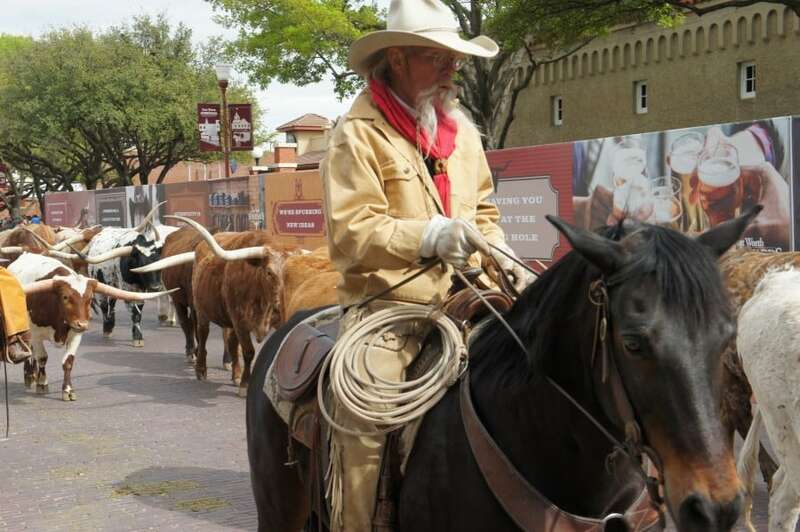 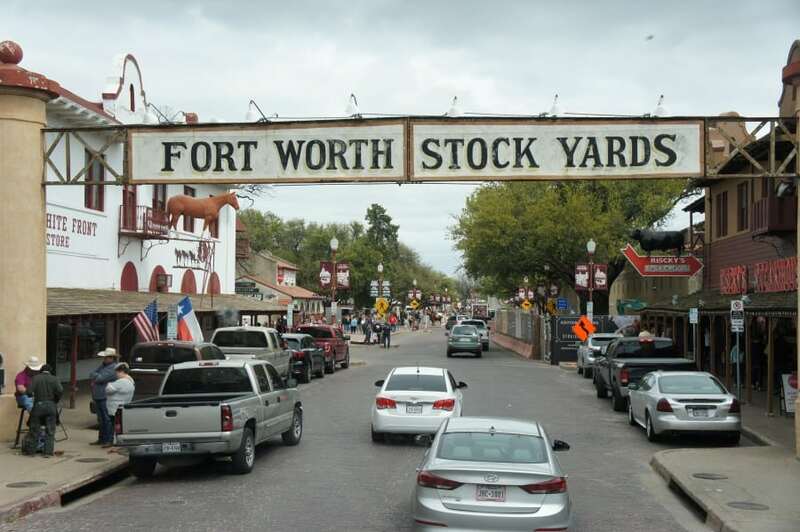 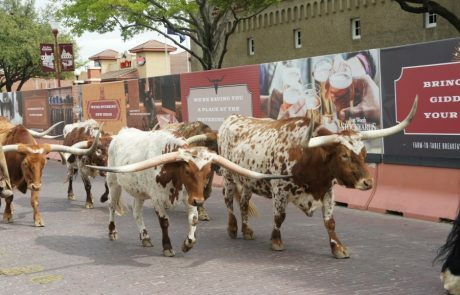 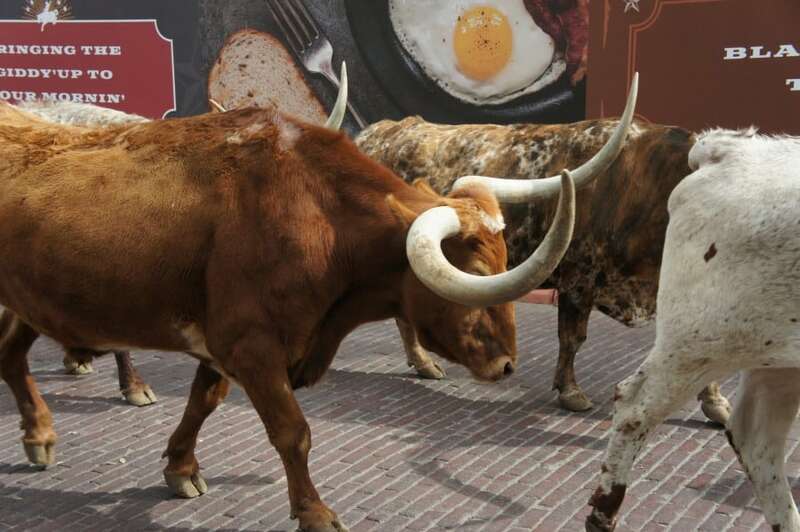 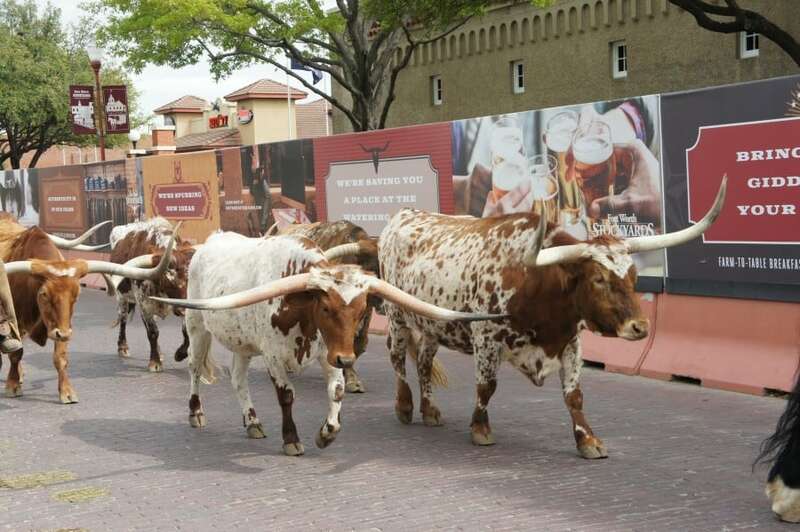 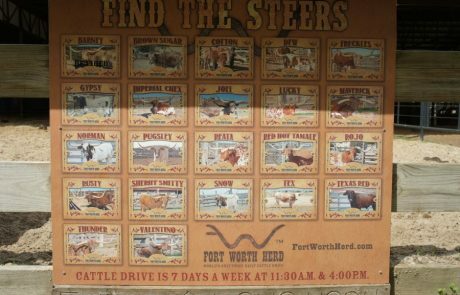 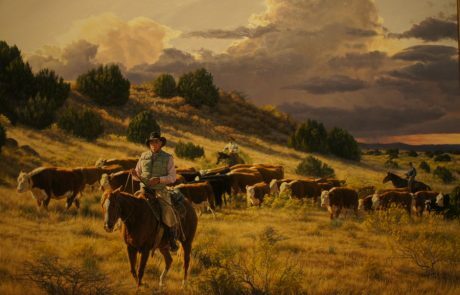 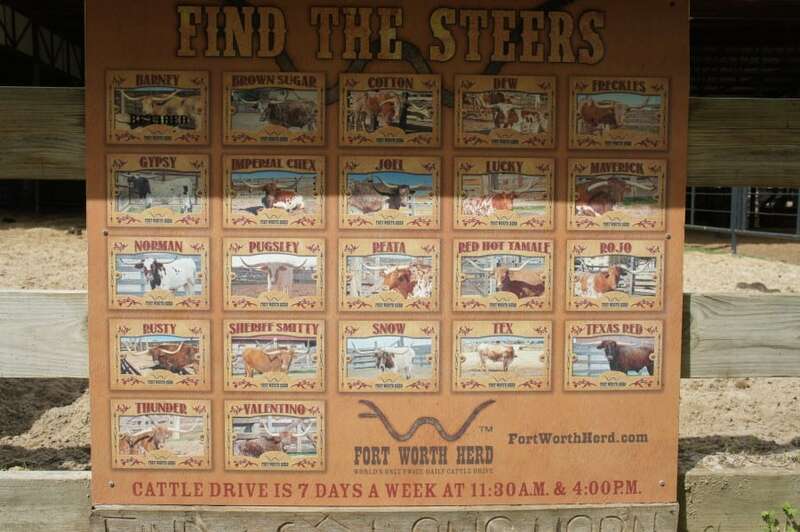 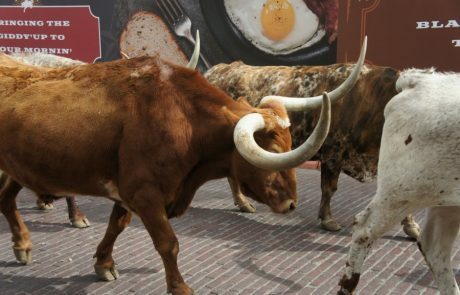 At Fort Worth we stopped the stockyards for the daily cattle drive. 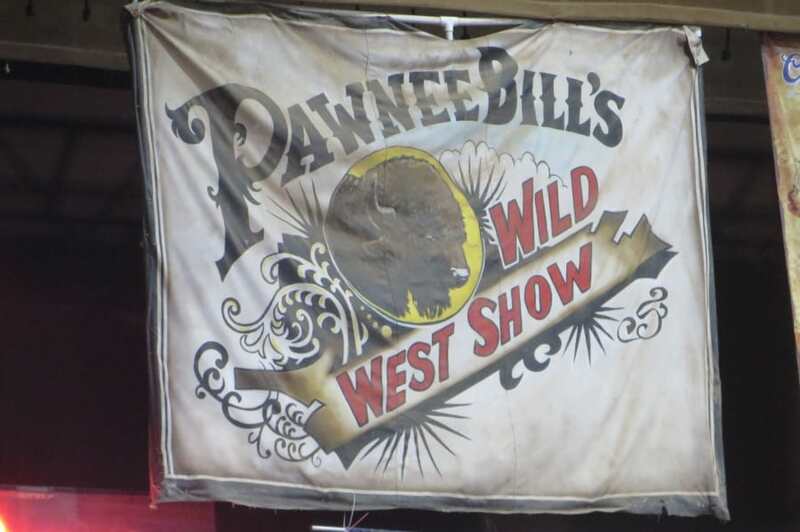 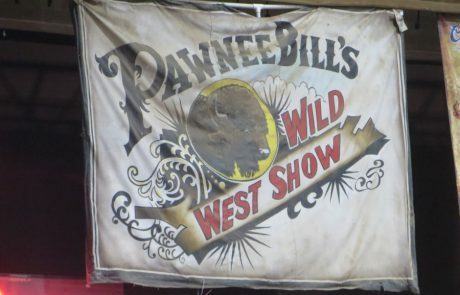 Next we watched the Pawnee Bill Wild West Show. 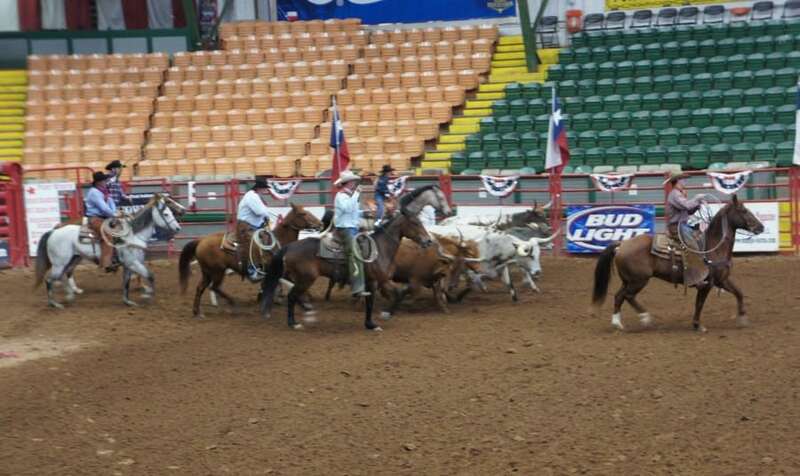 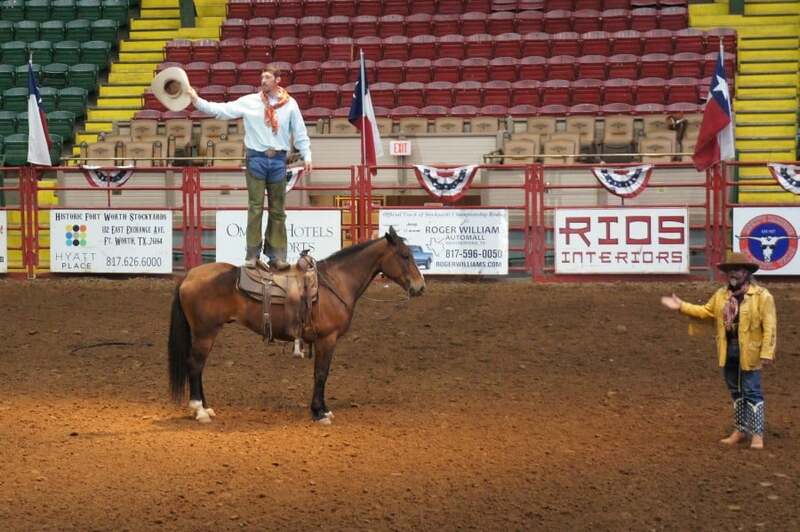 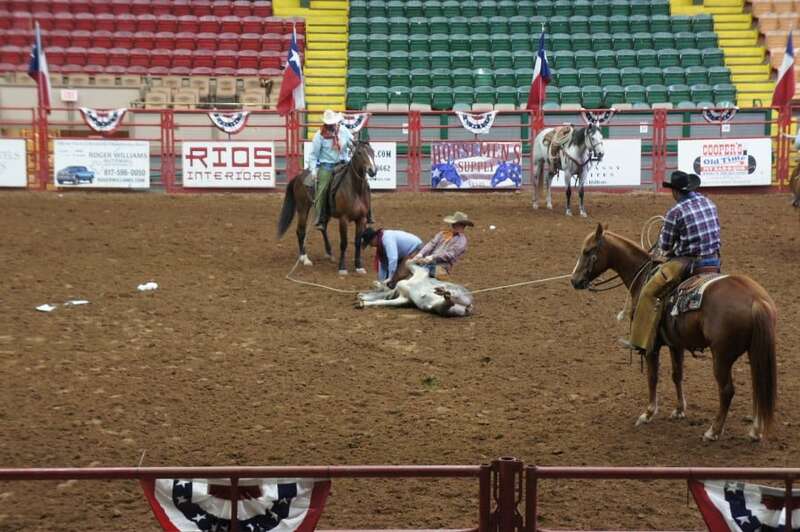 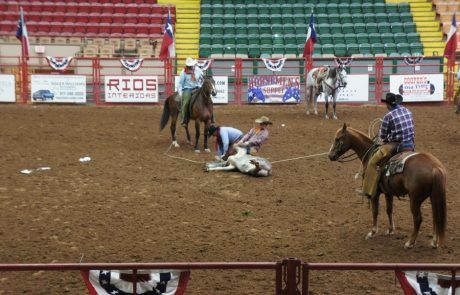 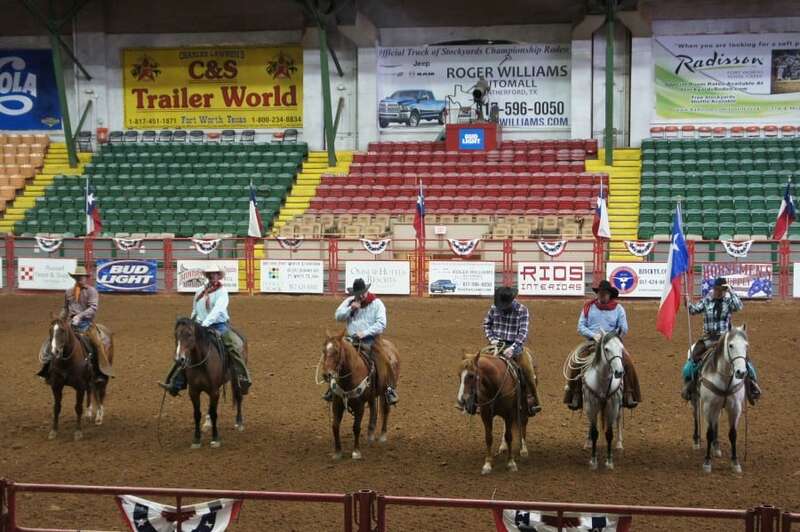 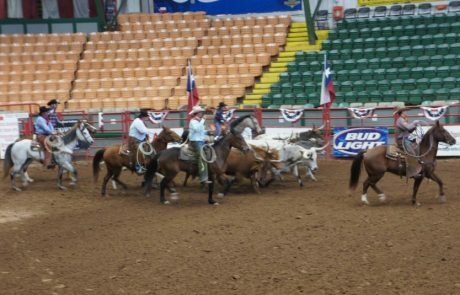 Trick riding and roping, and a good demonstration of the skills of these cowboys and cowgirls. 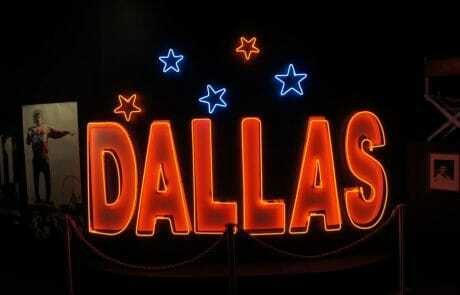 Tonight we stay in Irving Texas. 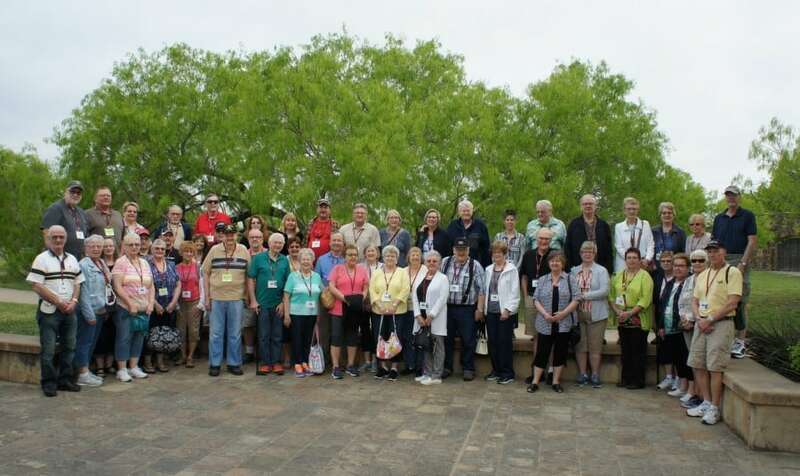 March 31, 2019 -Sunday-We have a full day of sightseeing. 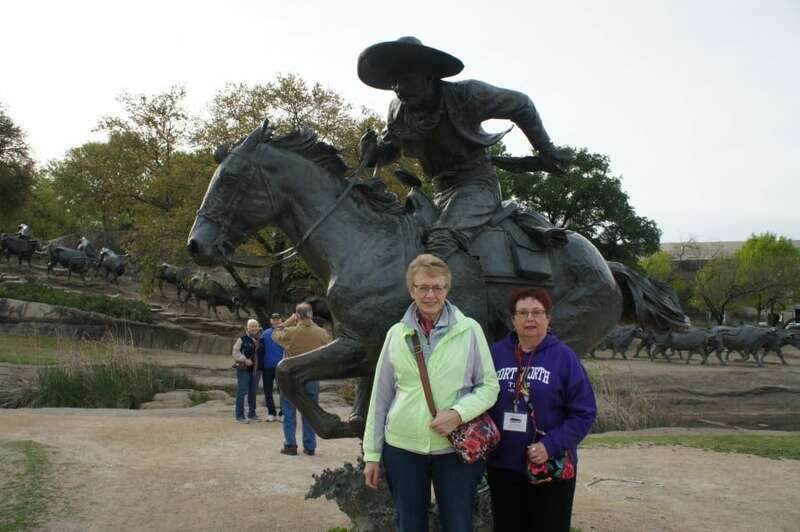 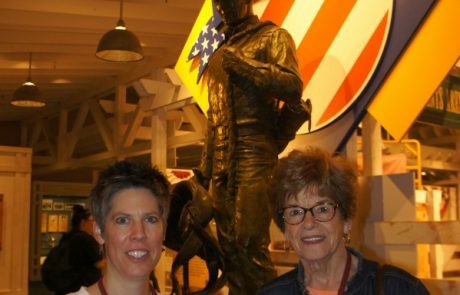 First we picked up a local guide in Dallas for a morning of history and fun. 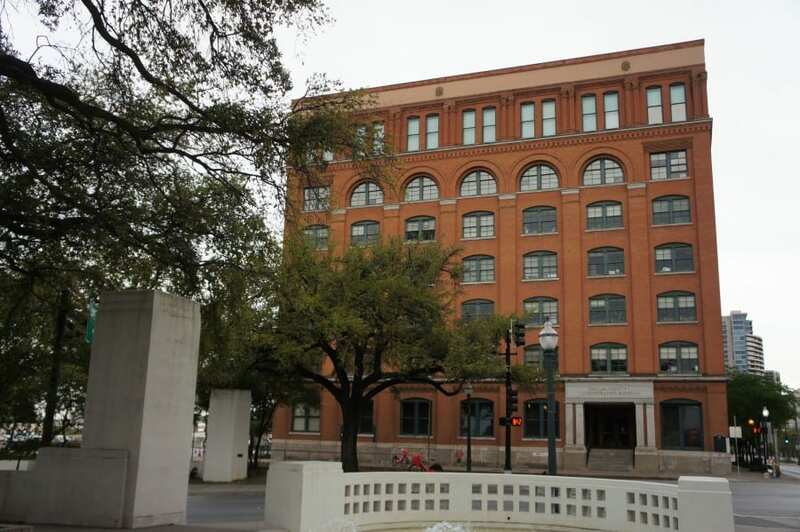 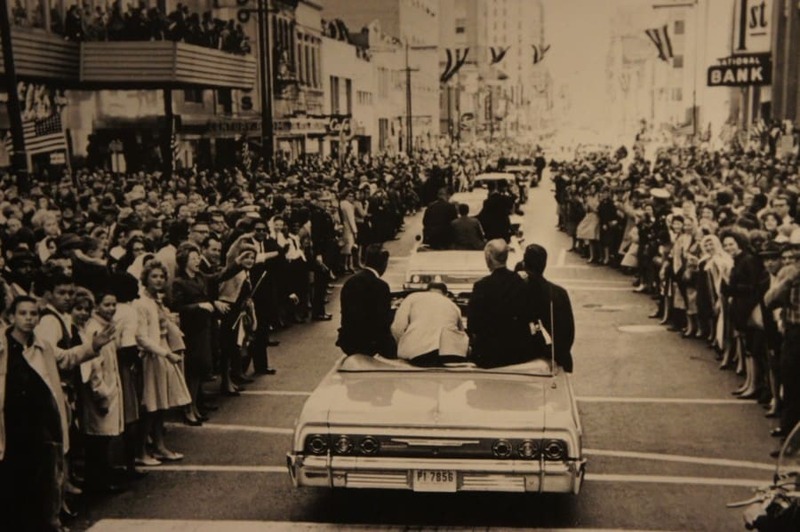 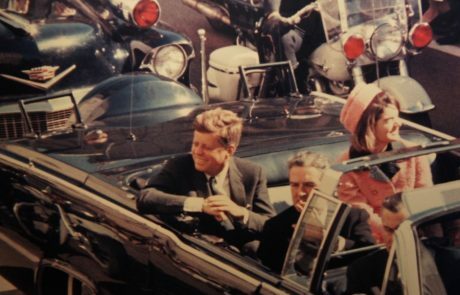 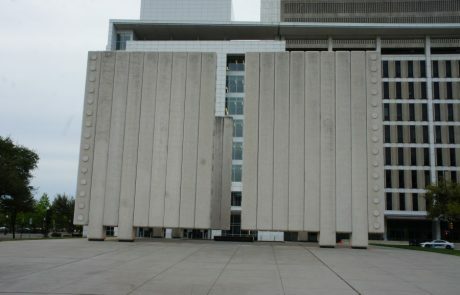 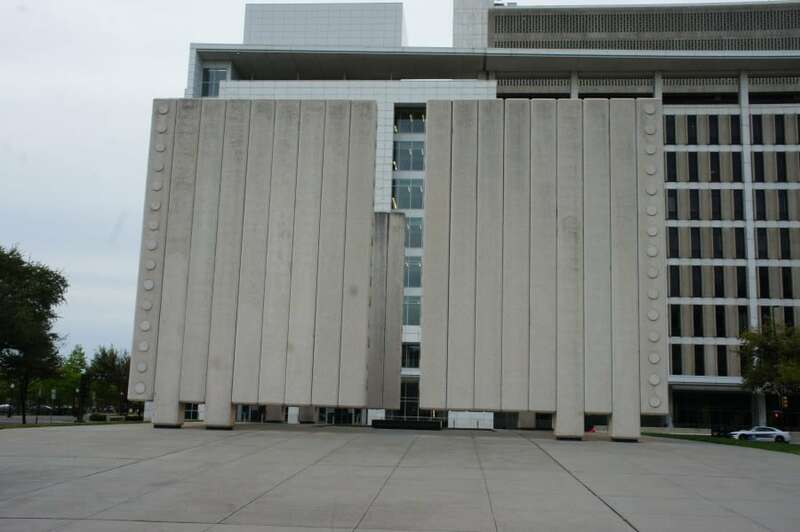 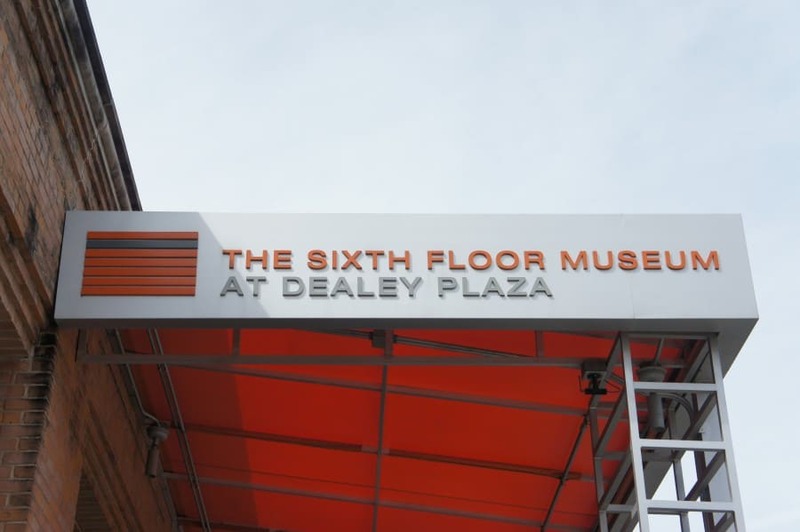 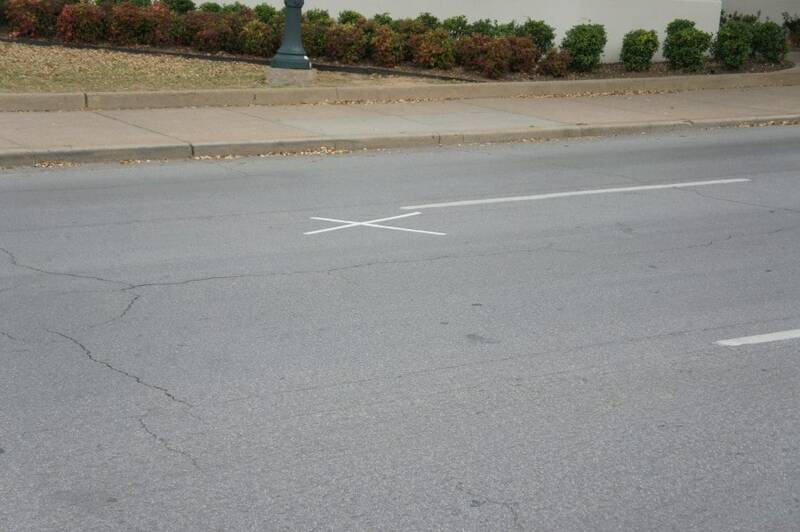 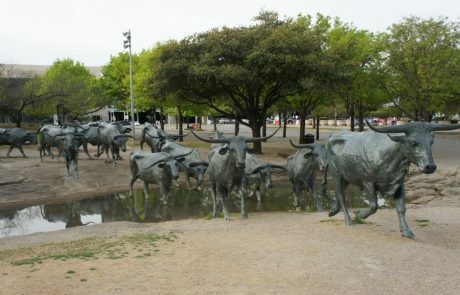 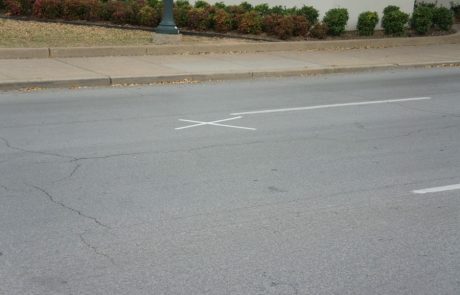 From Dealey Plaza, the place where JFK was killed to his memorial and then to Pioneer Plaza with 40 head of cattle. 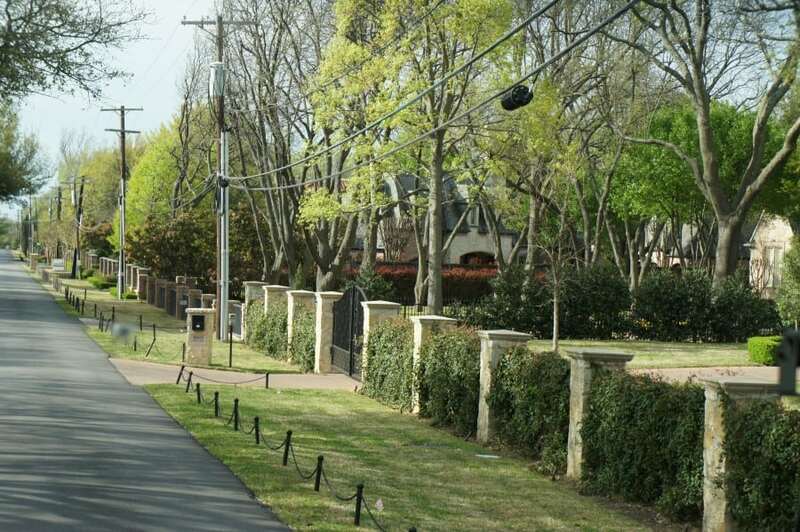 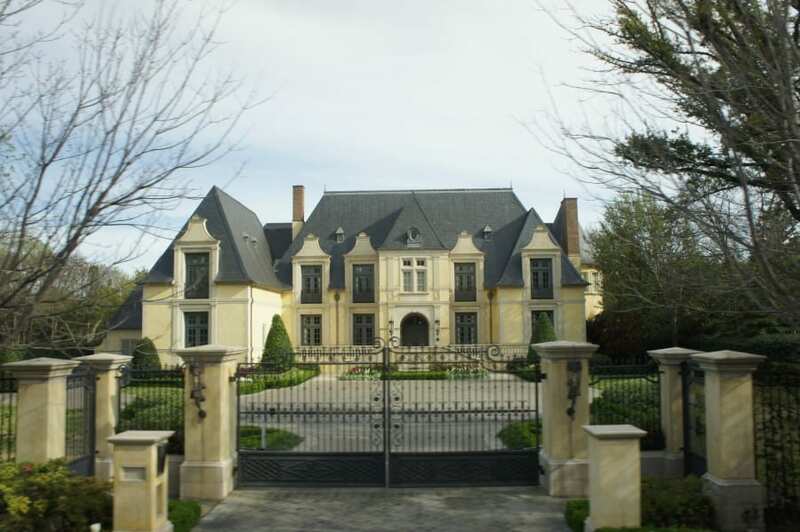 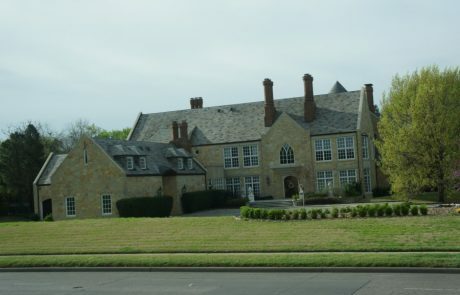 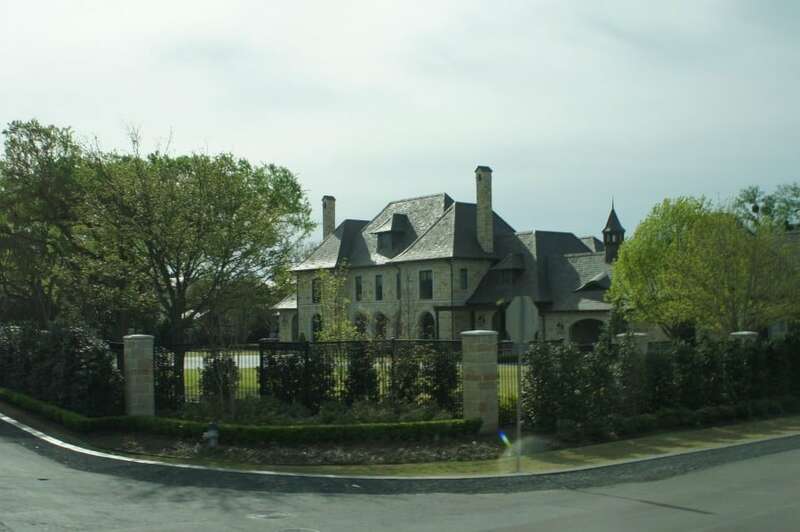 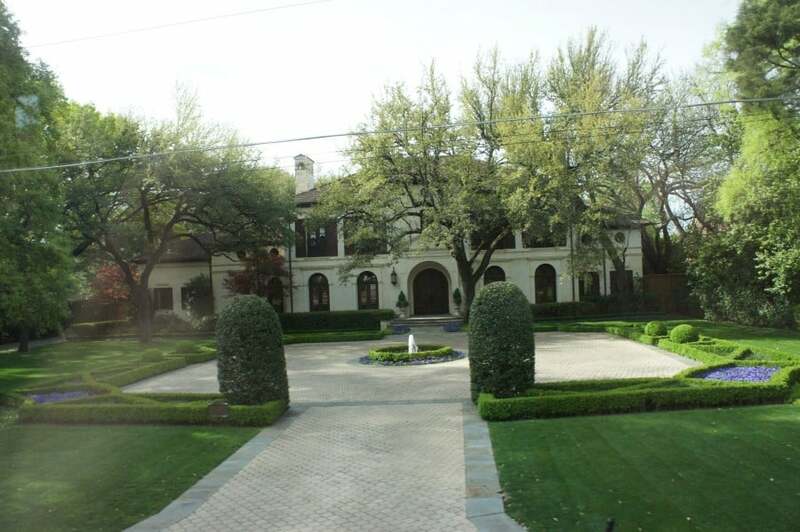 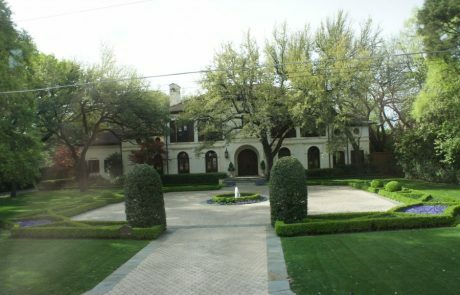 We had a busy morning driving by the Mansions of Dallas. 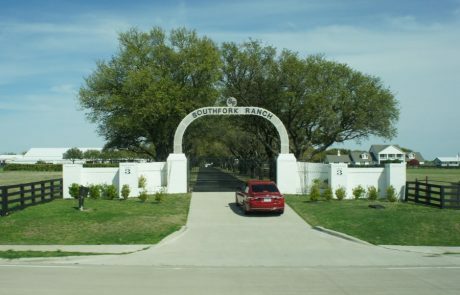 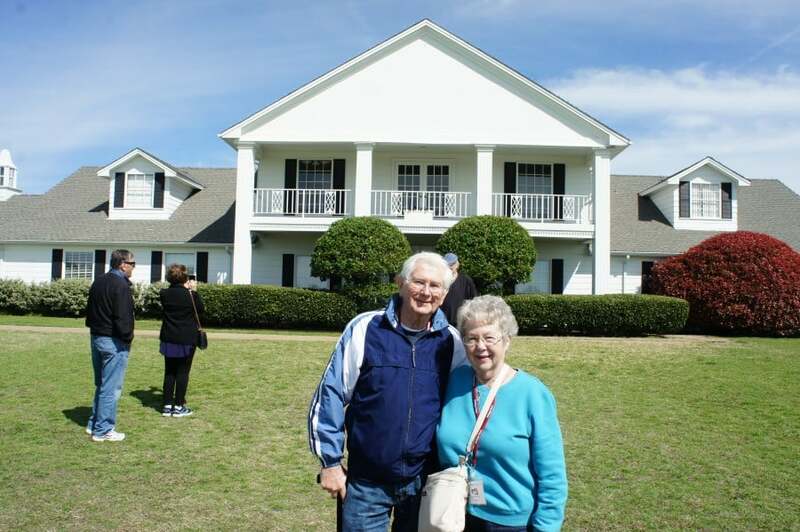 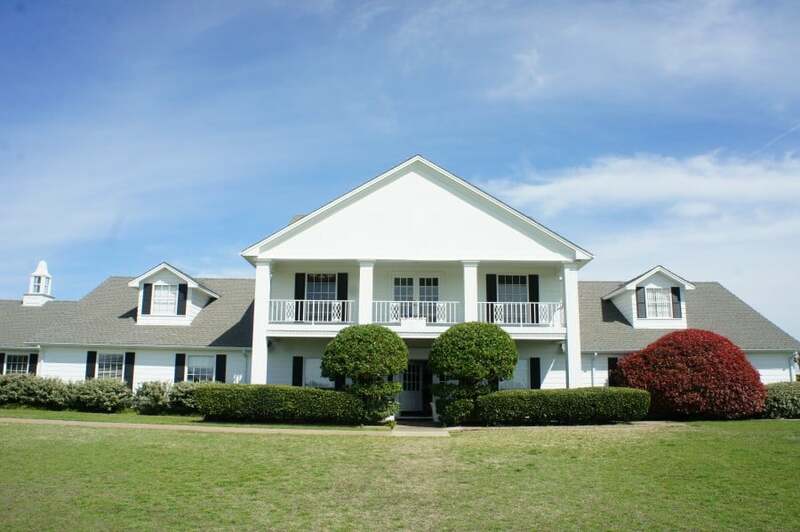 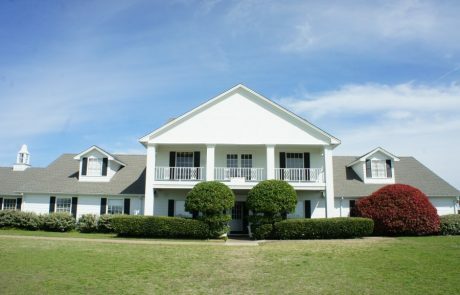 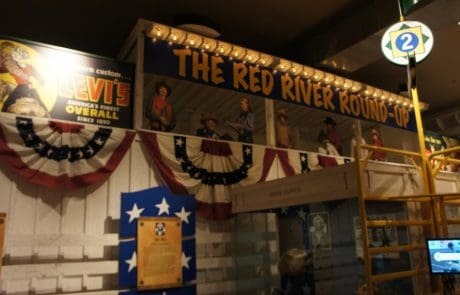 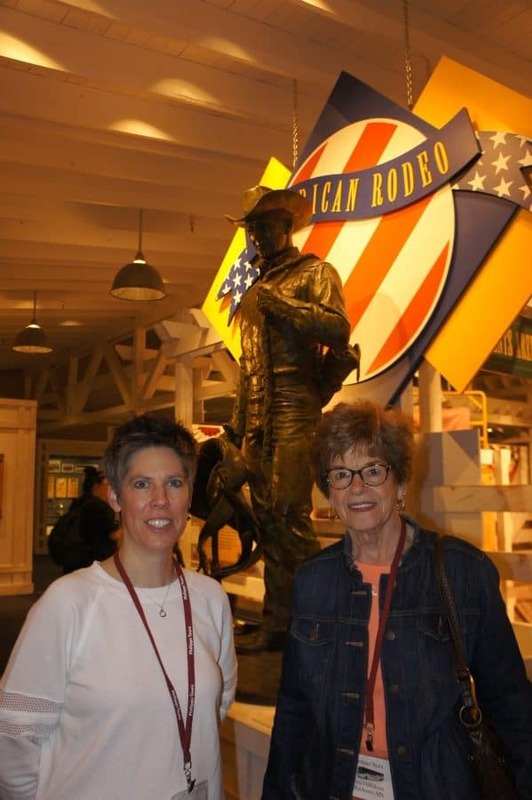 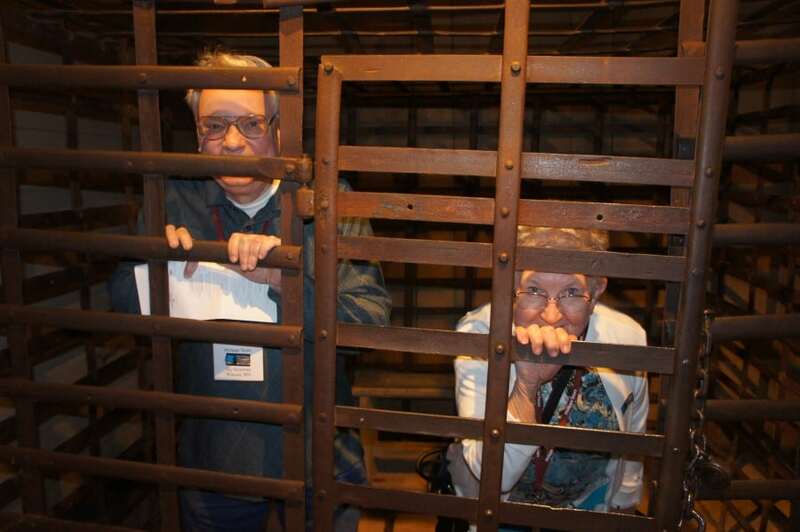 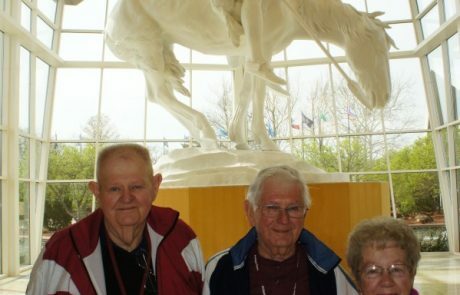 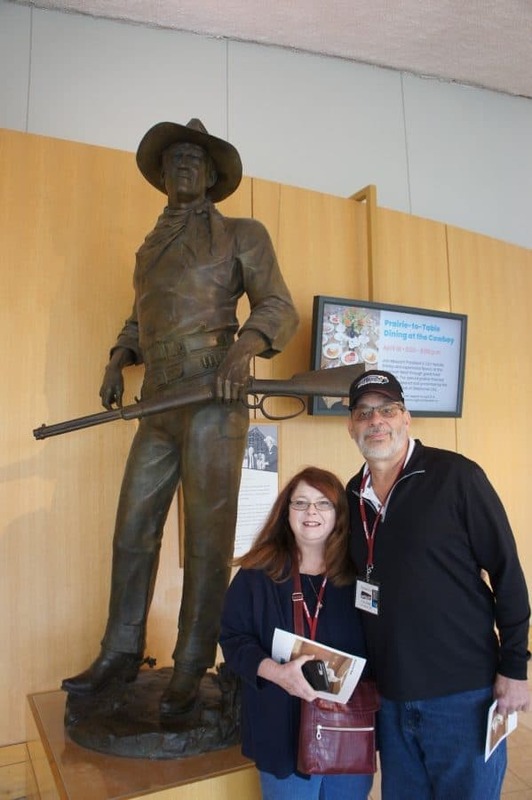 After lunch we stopped at the 6th Floor Depository Museum then had a fun time touring Southfork Ranch. 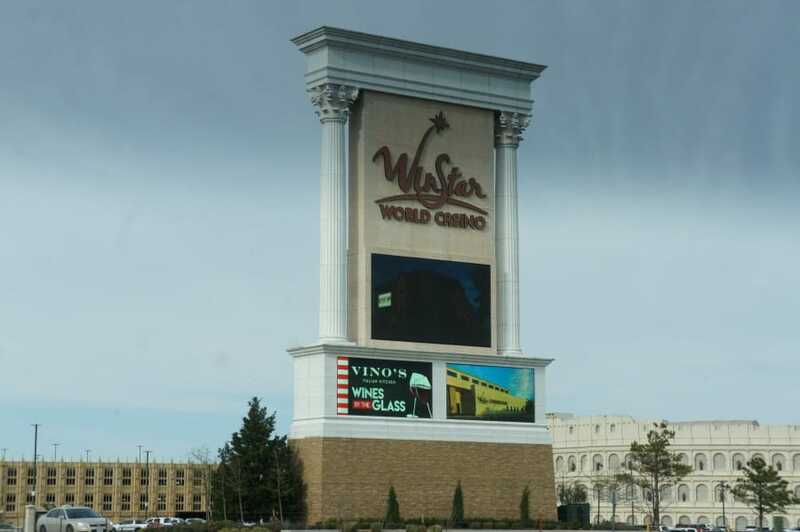 Tonight we’re at one of the worlds largest casinos, Winstar Casino in Thackerville Oklahoma. 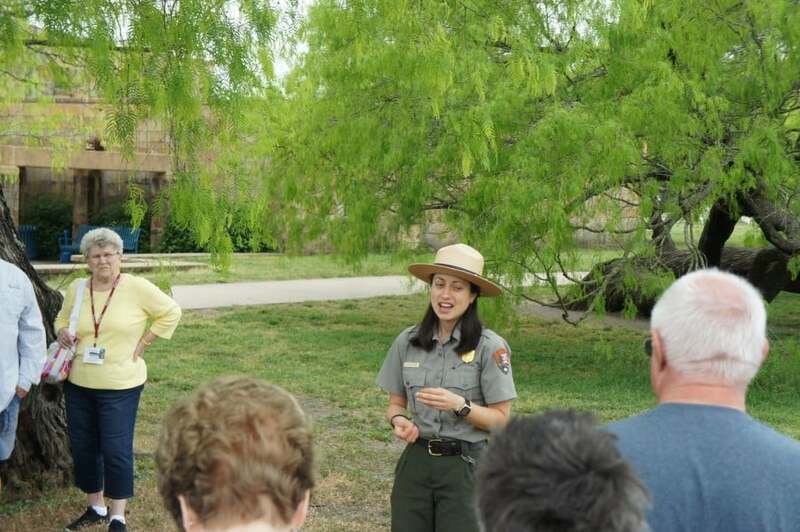 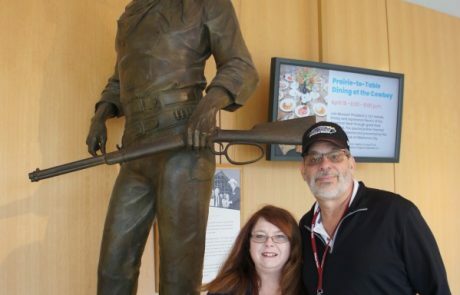 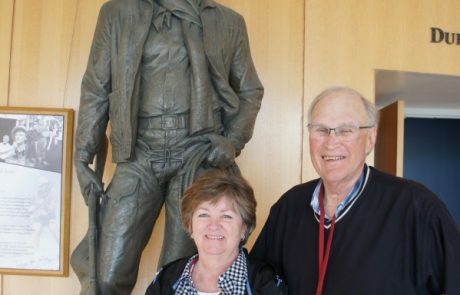 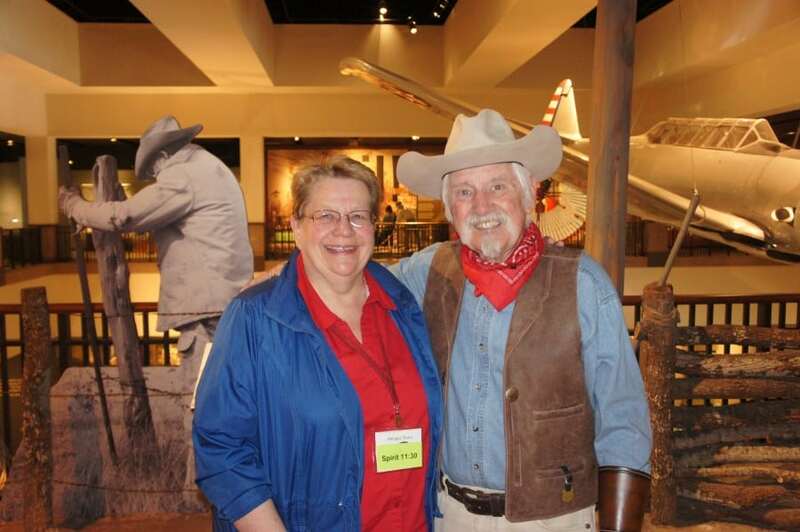 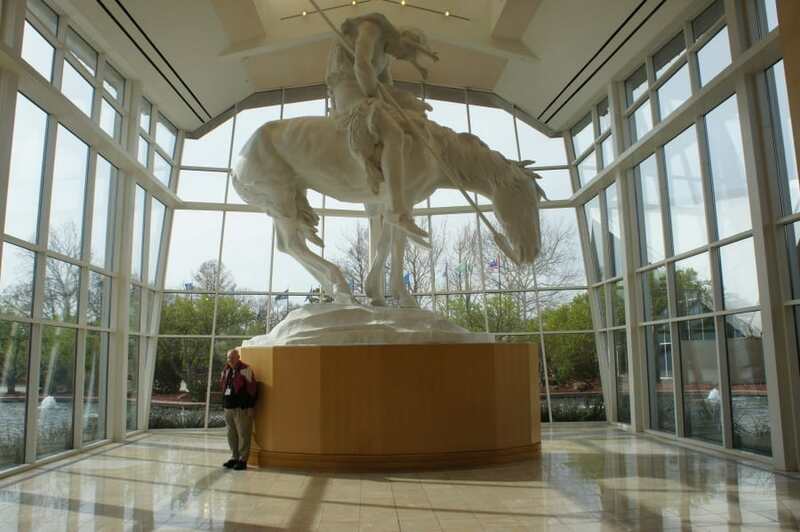 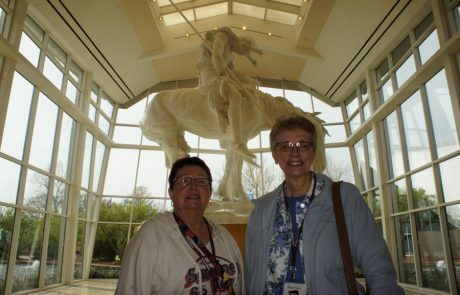 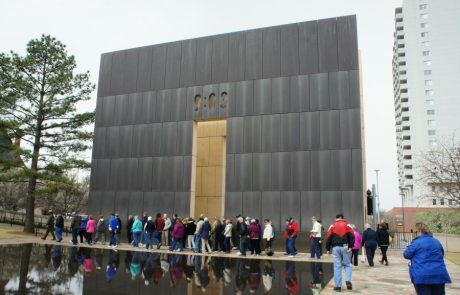 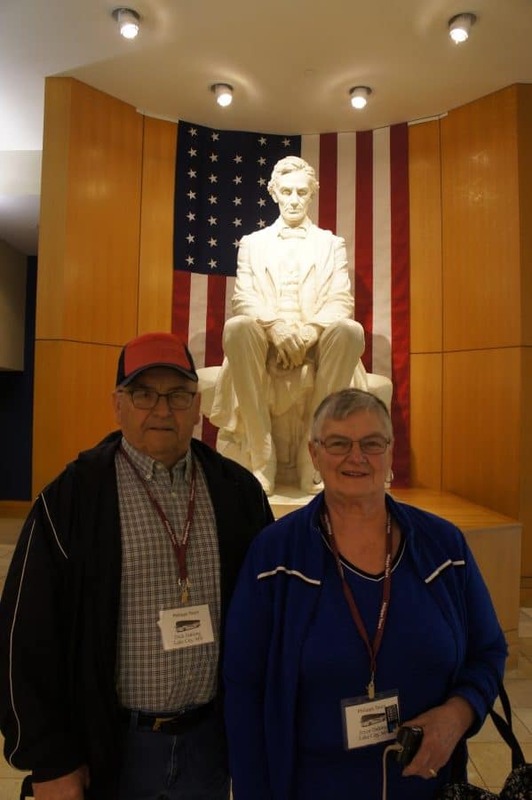 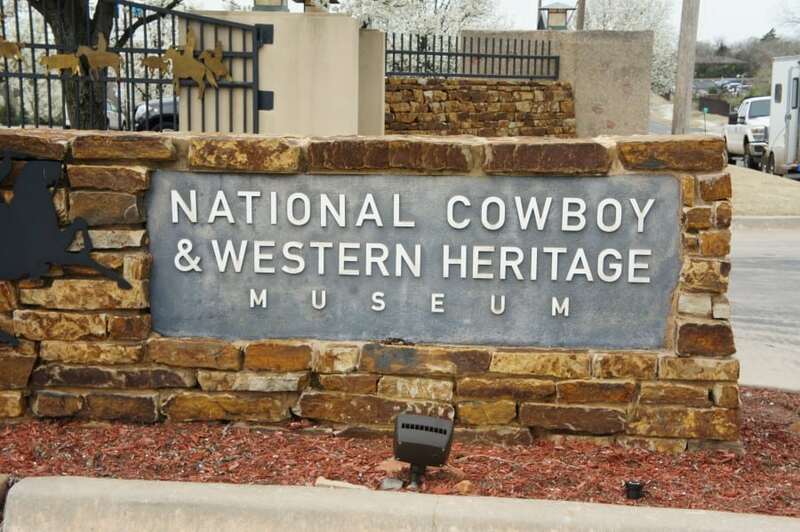 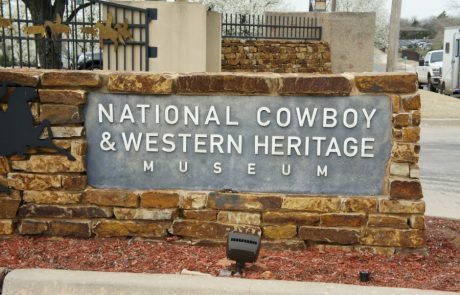 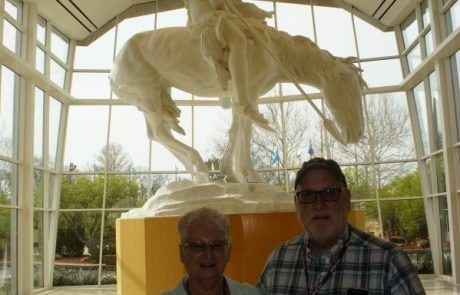 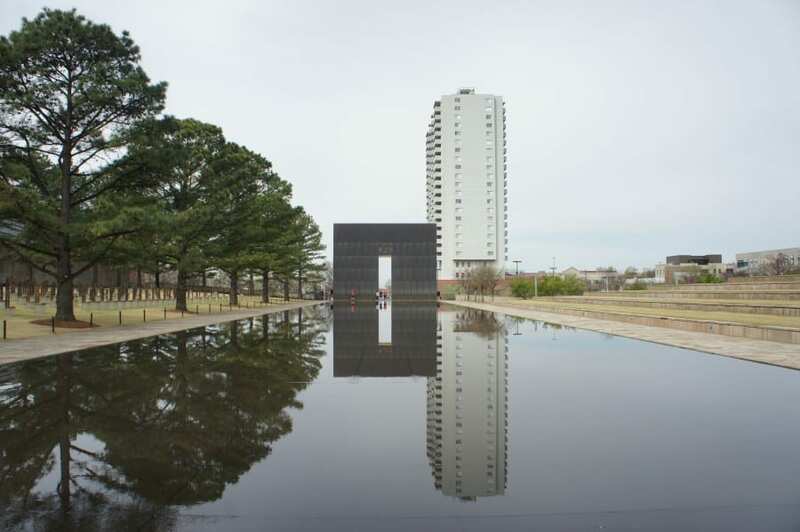 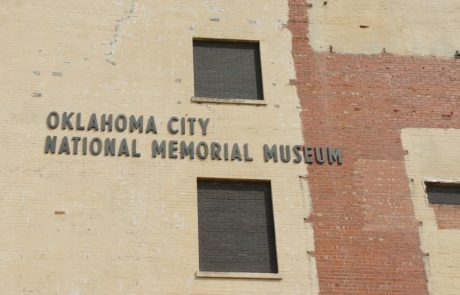 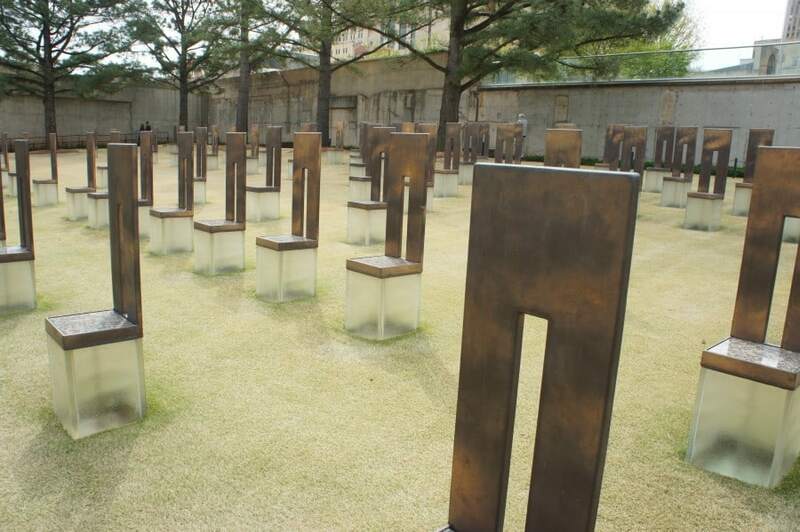 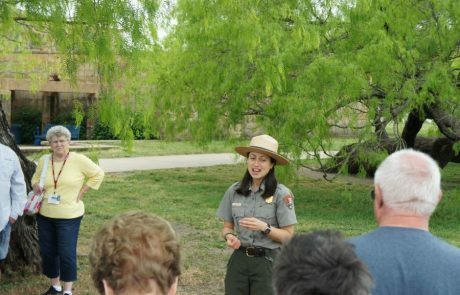 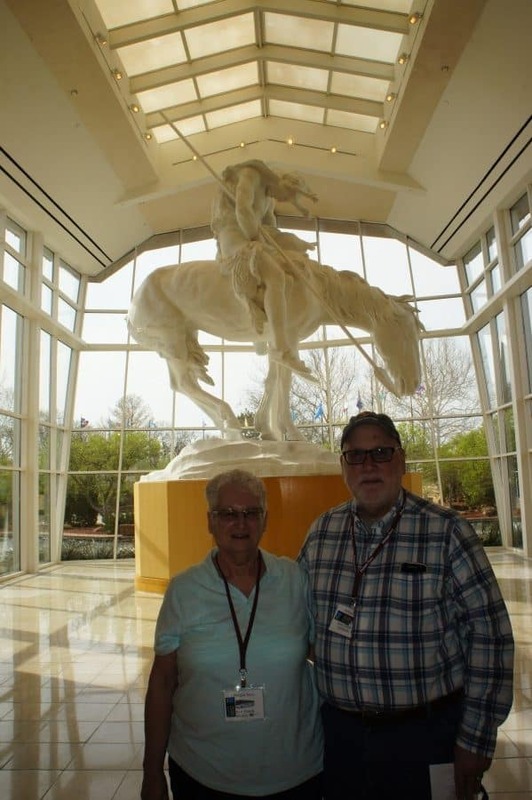 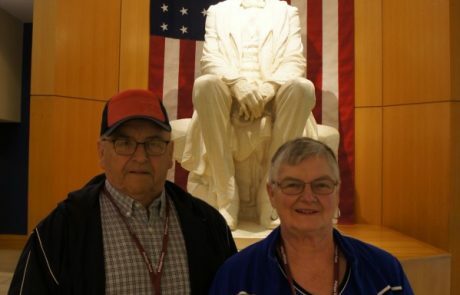 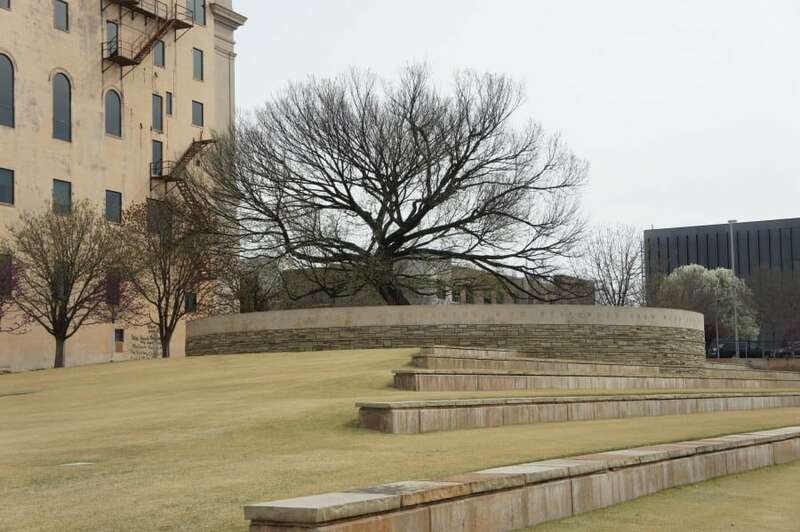 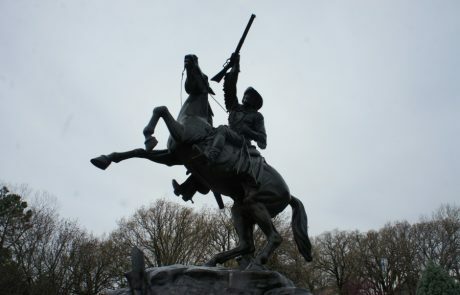 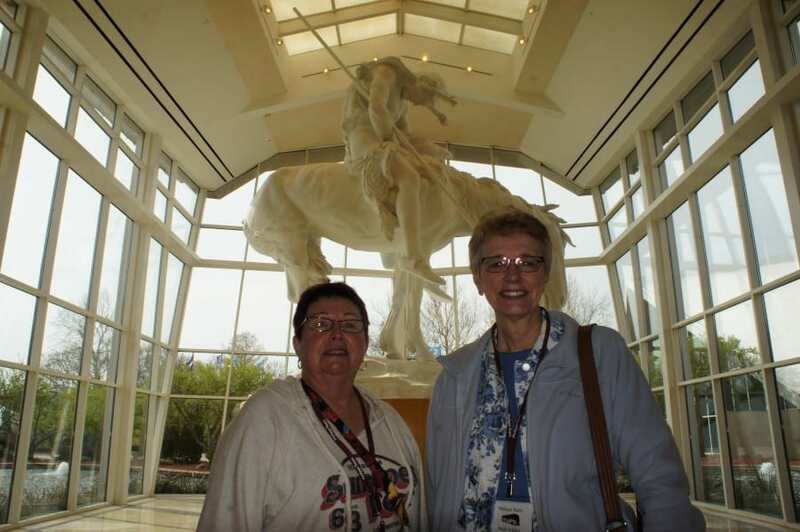 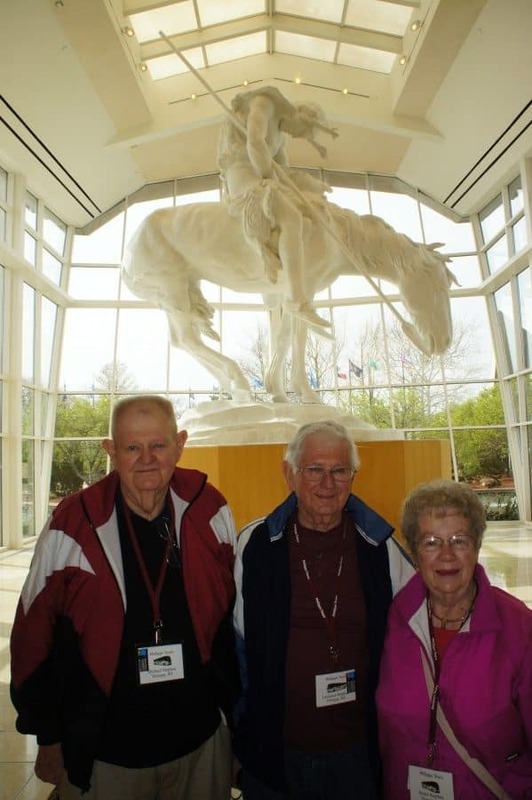 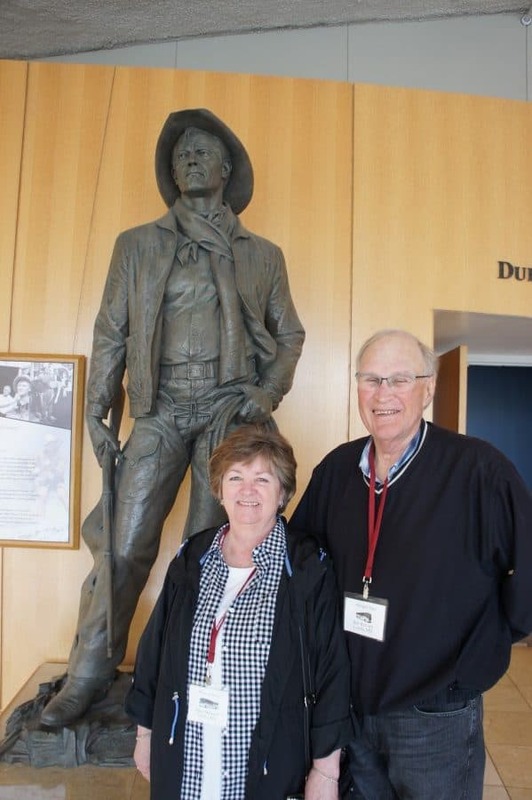 April 1 – 2019 – Monday This morning we had a scheduled Ranger talk at the Oklahoma City National Memorial. 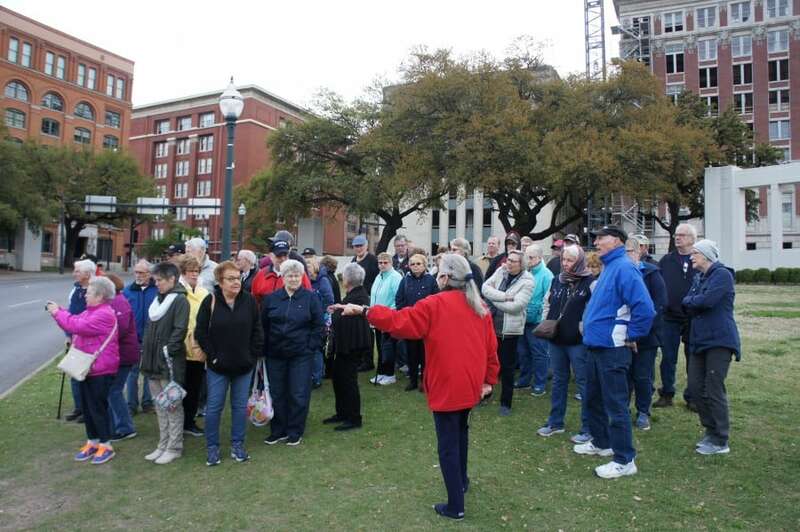 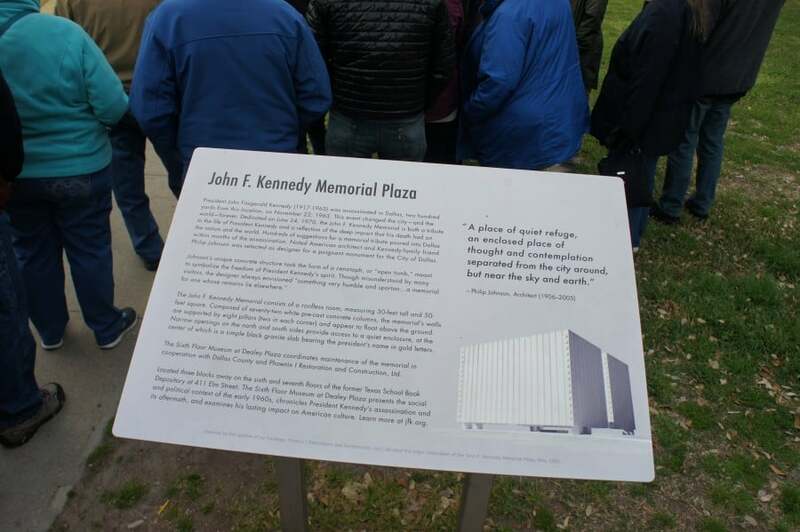 We heard all the importatant detail of the day when the bomb went off on April 19, 1995. 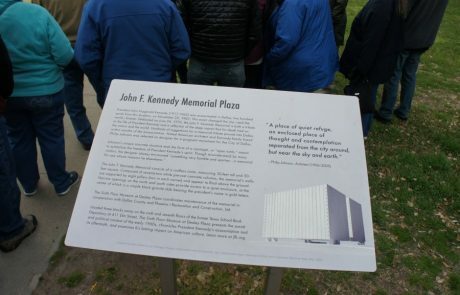 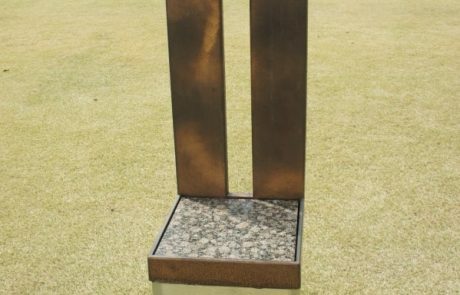 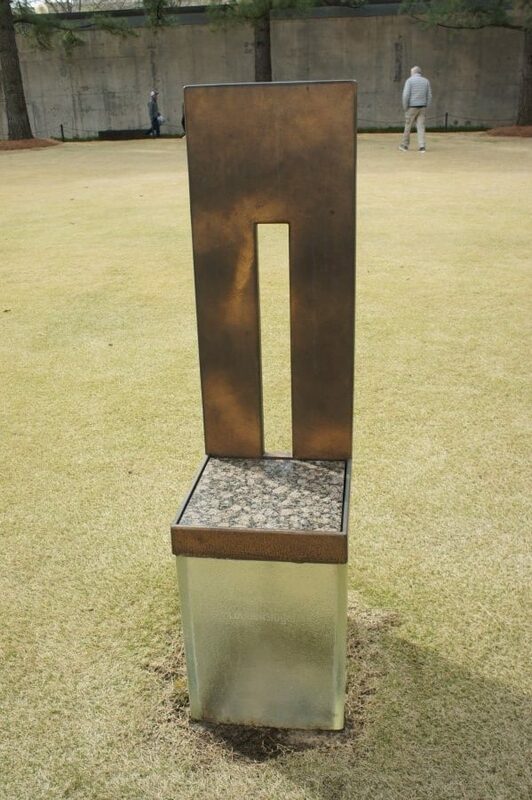 The site has a lot of symbolism and is very peaceful. 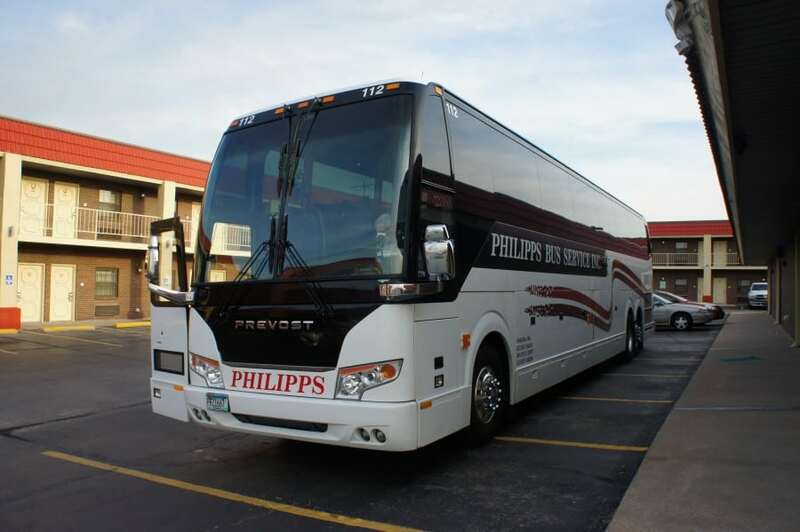 Tonight we’ll stay in the Kansas City area at the Drury Inn. April 2, 2019 – Tuesday Our last day is a travel day. We stopped in Des Moines for lunch and plan to arrive home close to schedule. 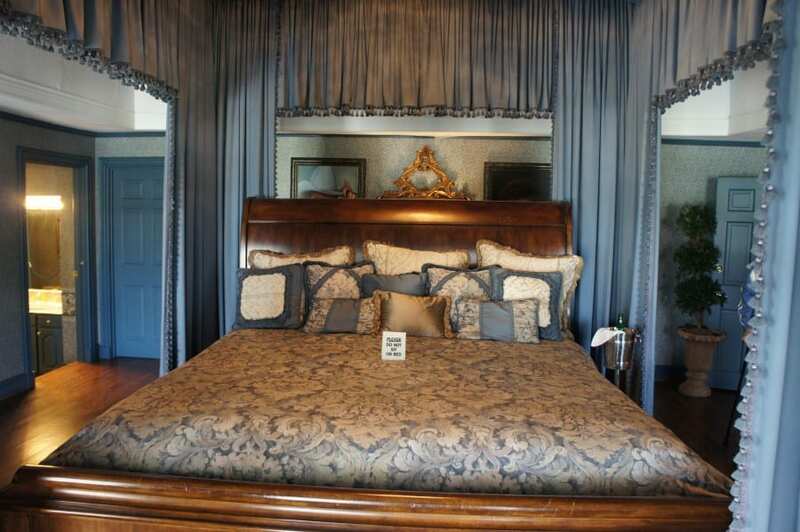 Click on any photo to view larger and share with your friends and family! Share this trip with your friends on social media!